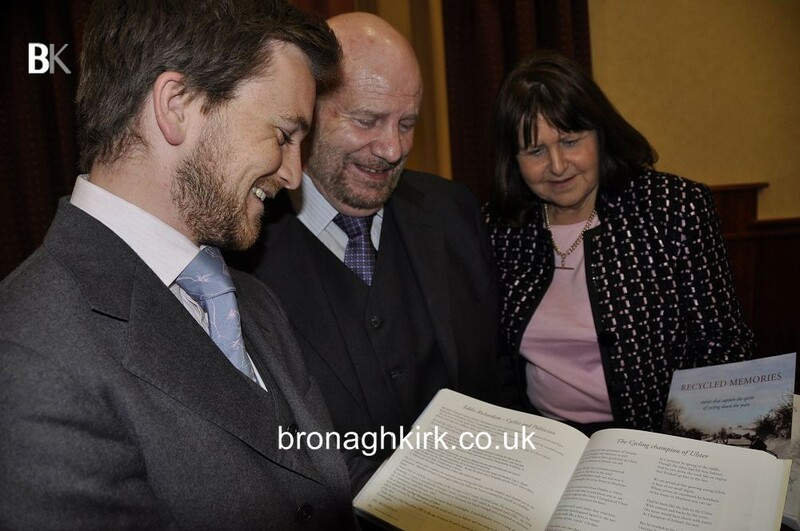 Home > Galleries > The Night We Met The President! 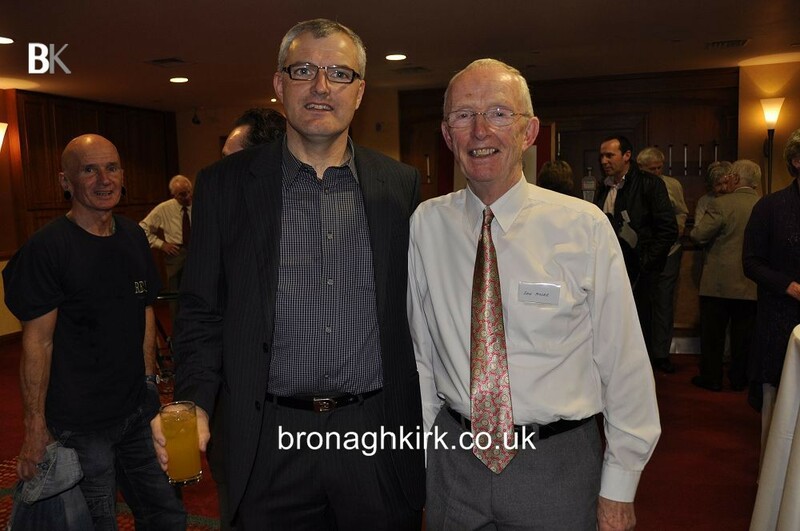 The current UCI President Pat McQuaid has been nominated by the Board of Cycling Ireland to go for another four year term later this year. 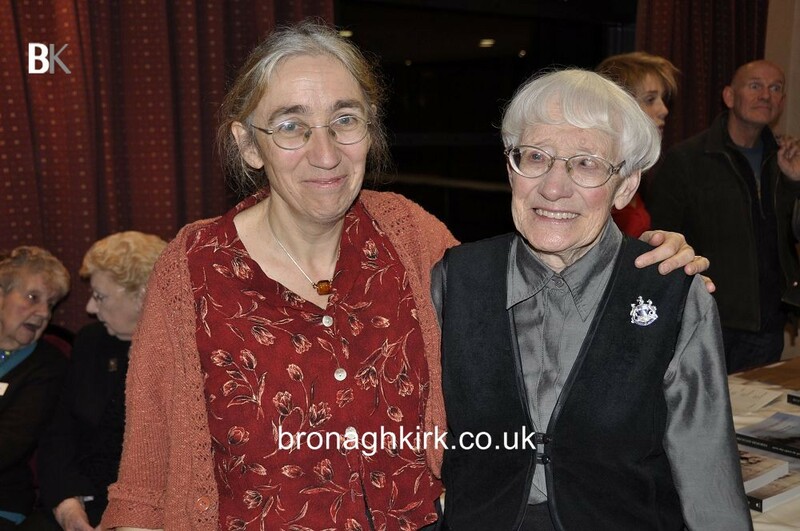 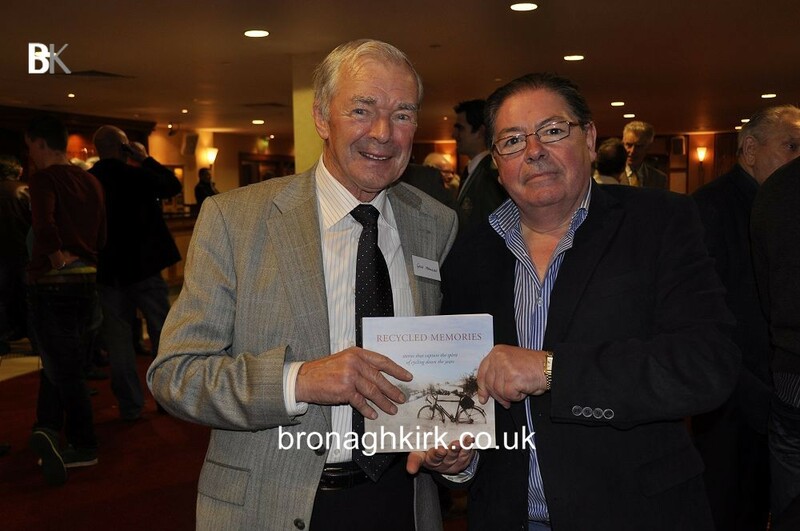 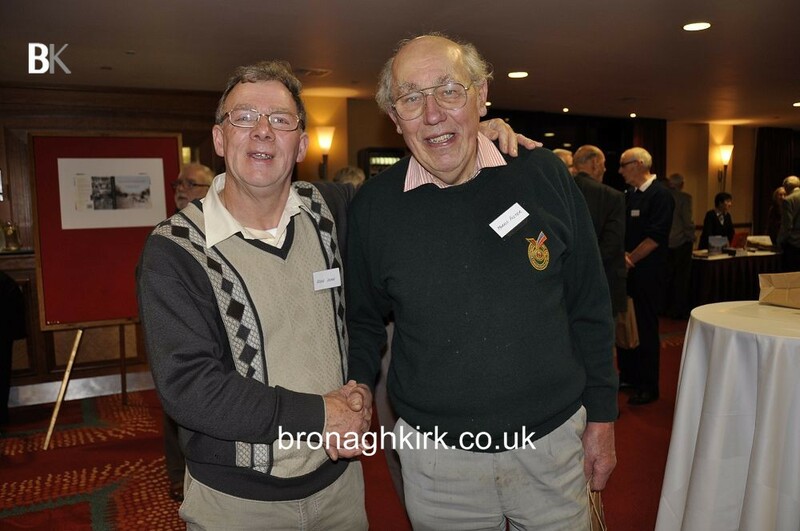 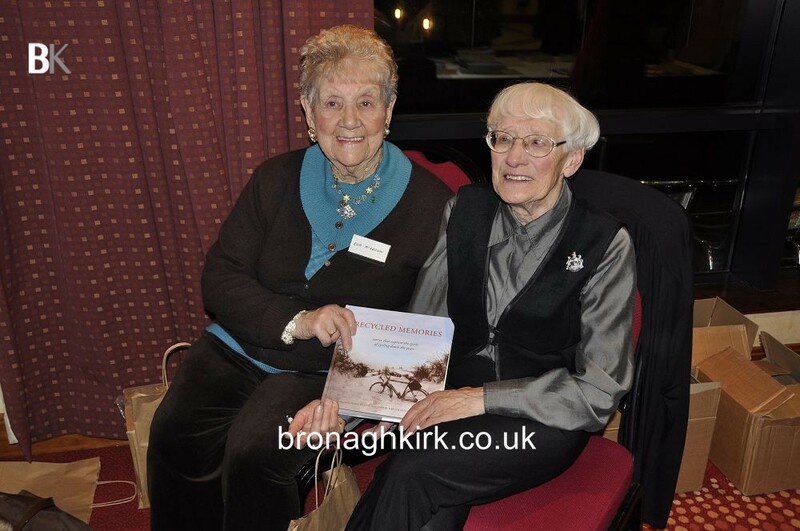 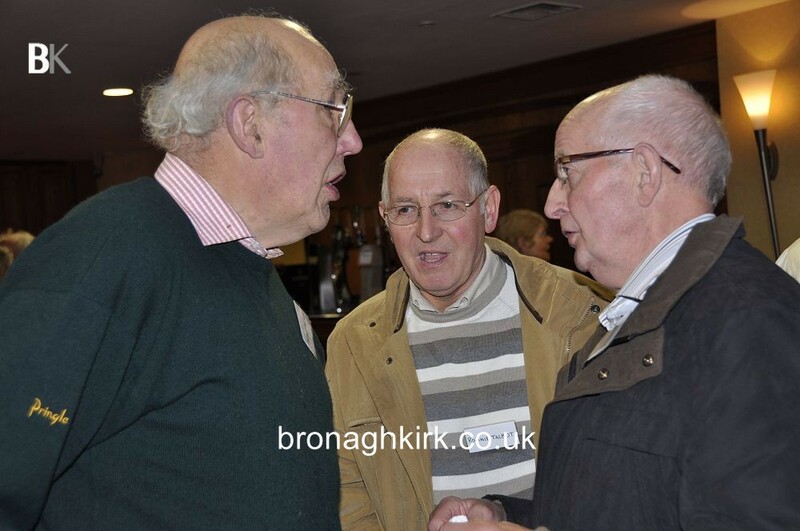 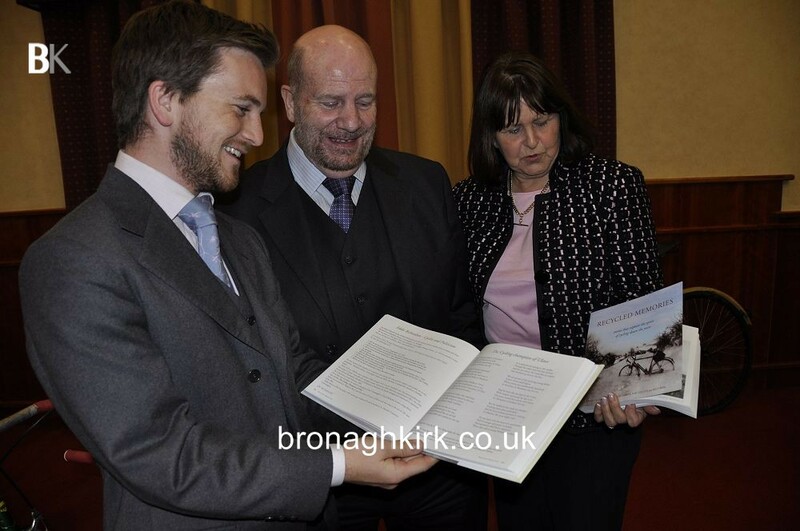 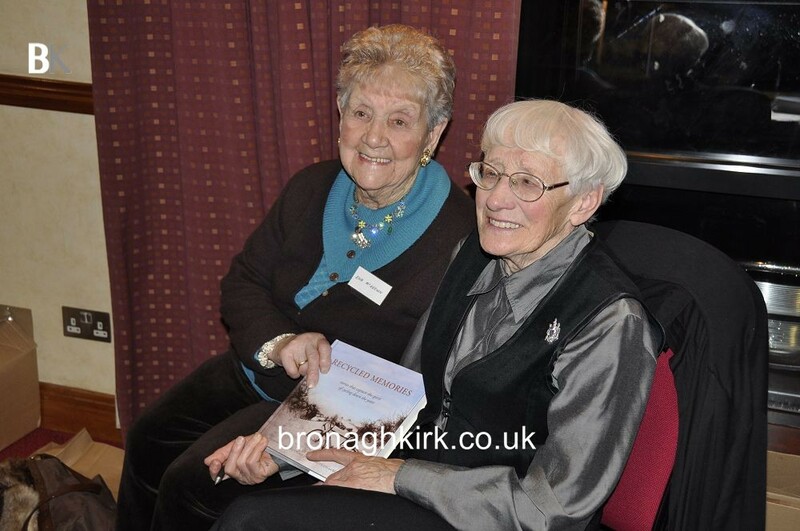 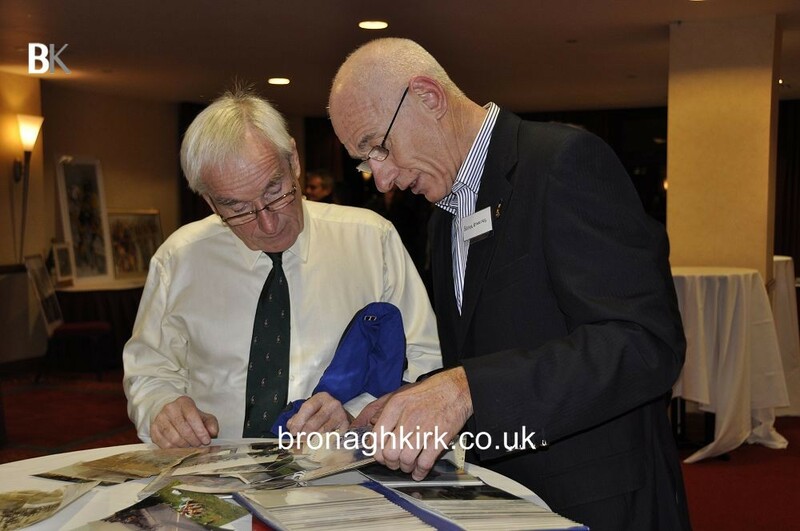 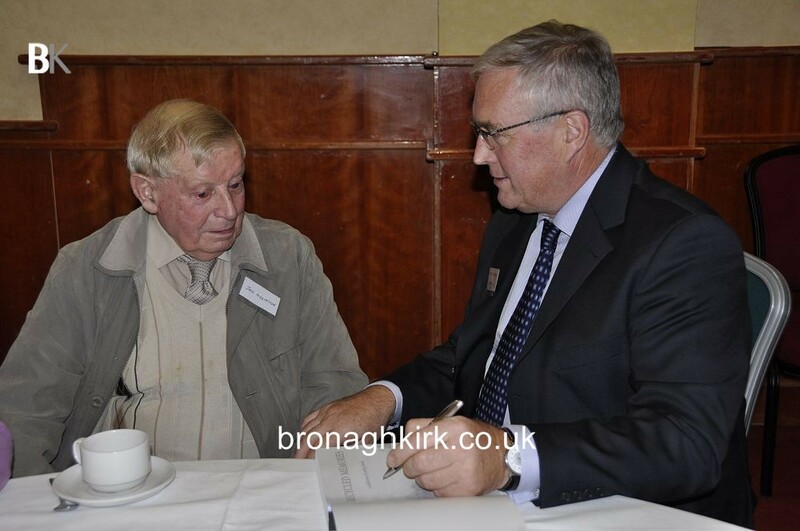 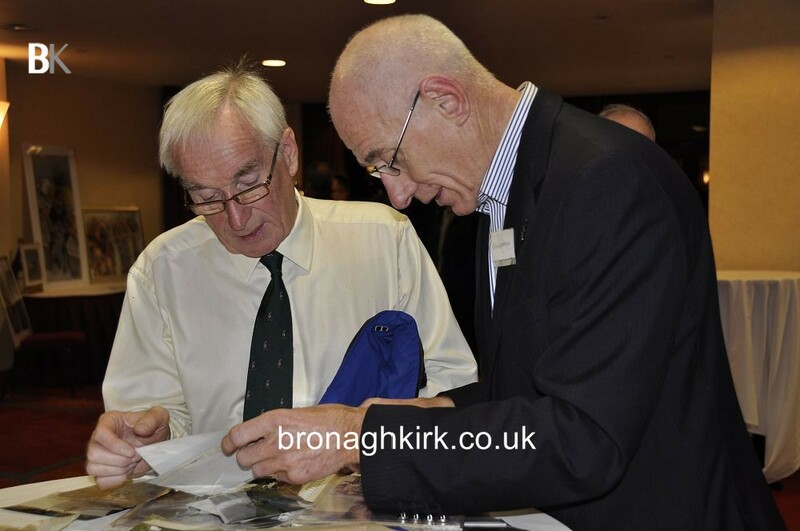 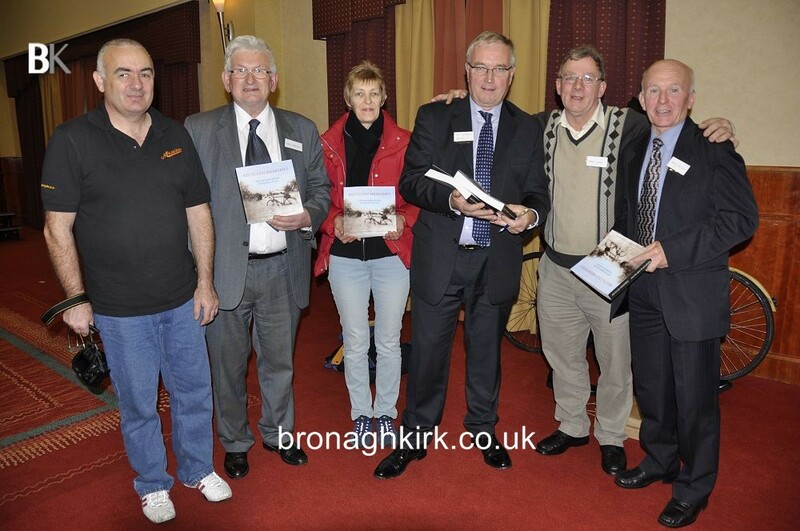 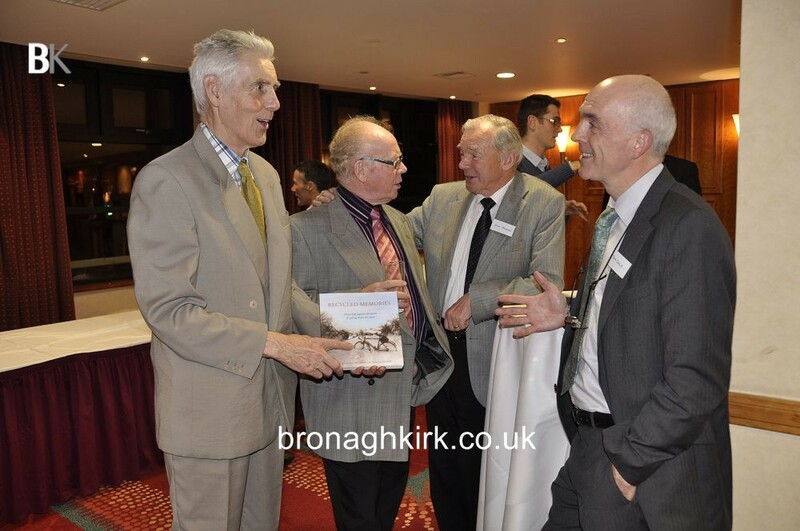 These are a seleaction of images from the launch of the book 'Recycled Memories'. 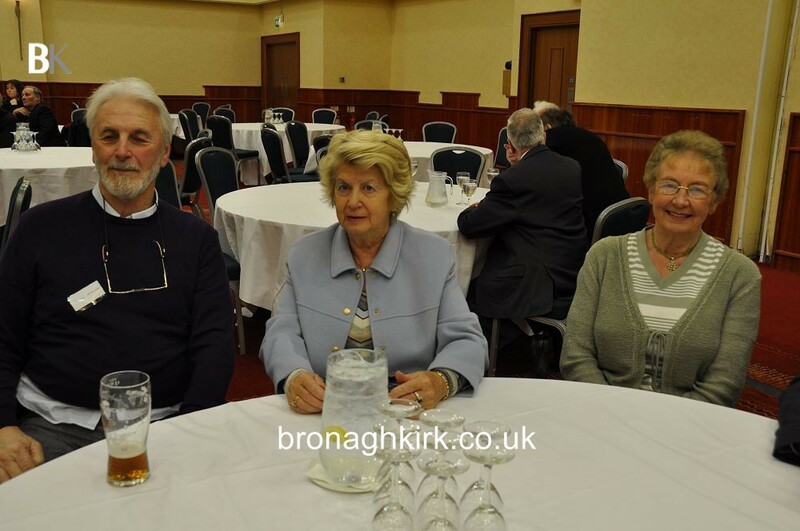 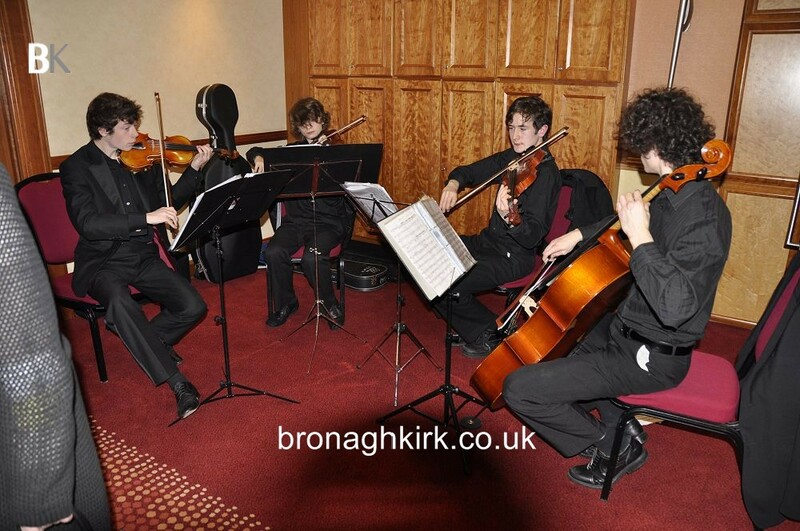 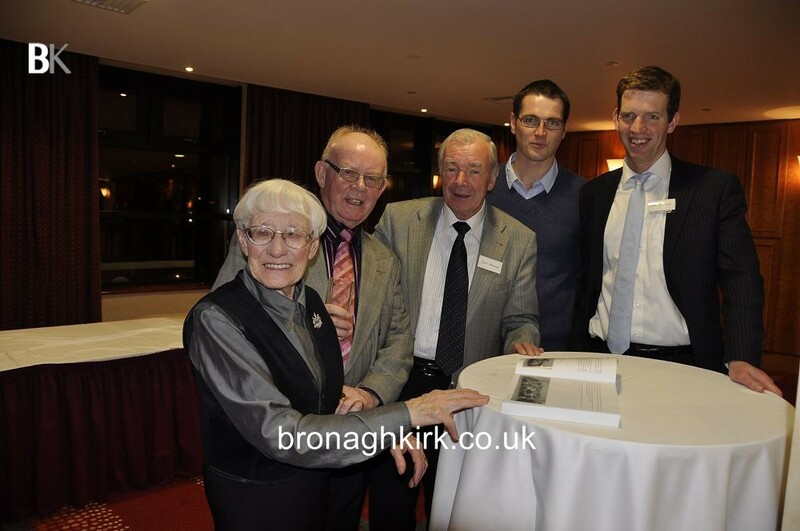 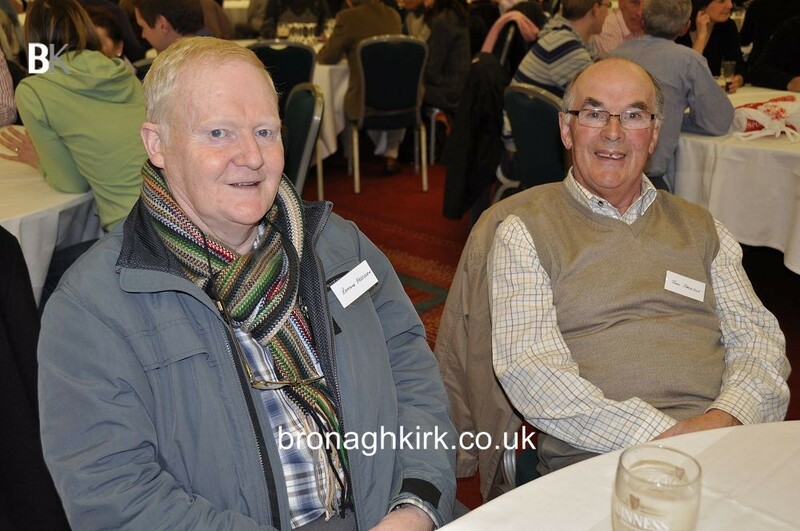 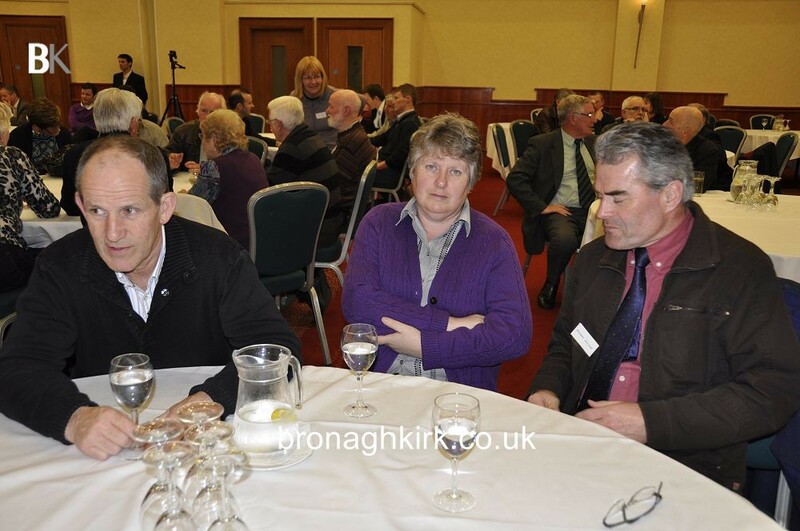 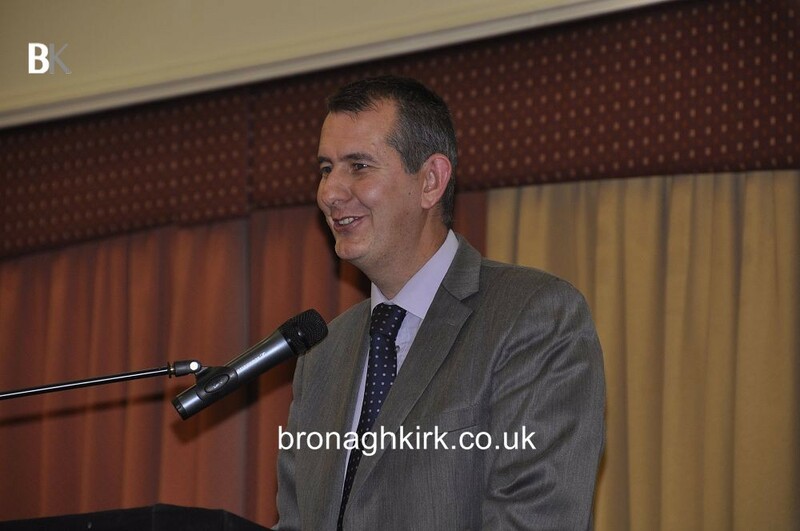 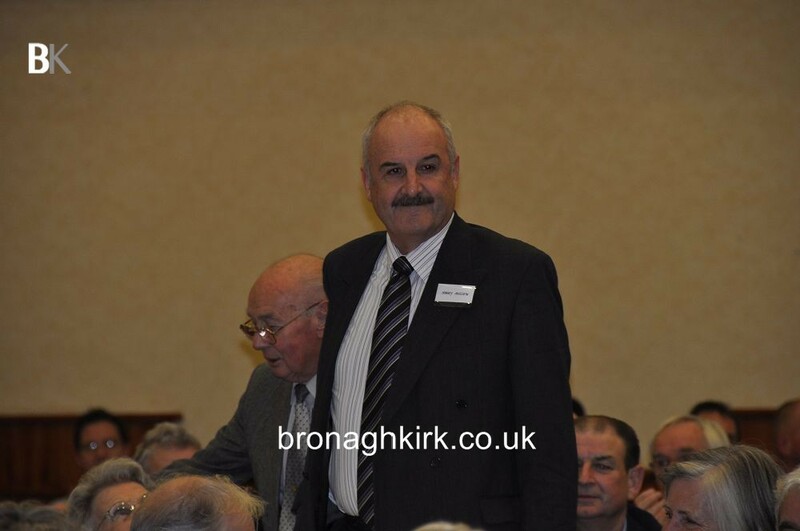 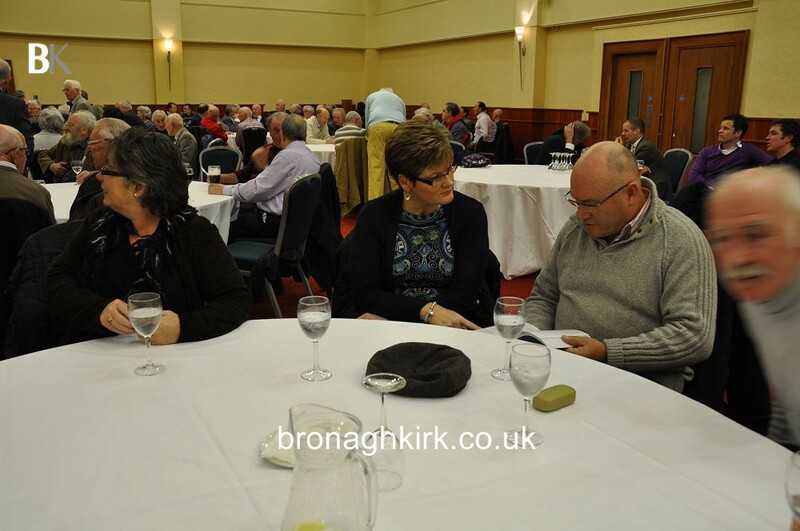 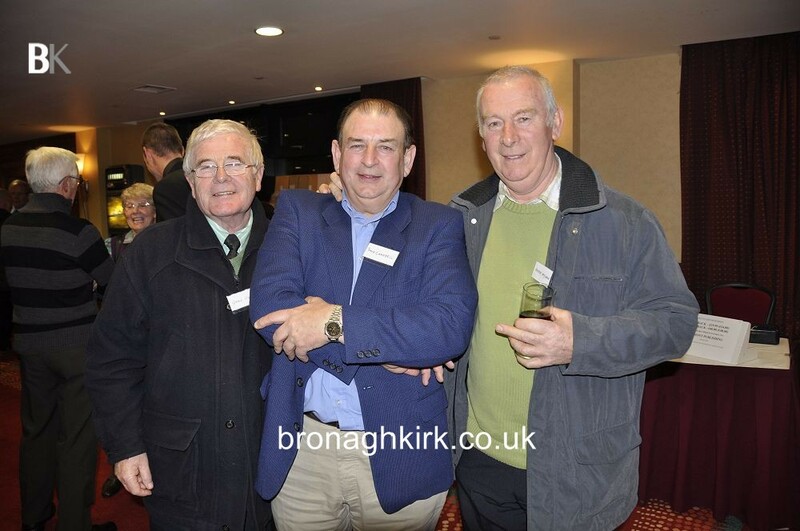 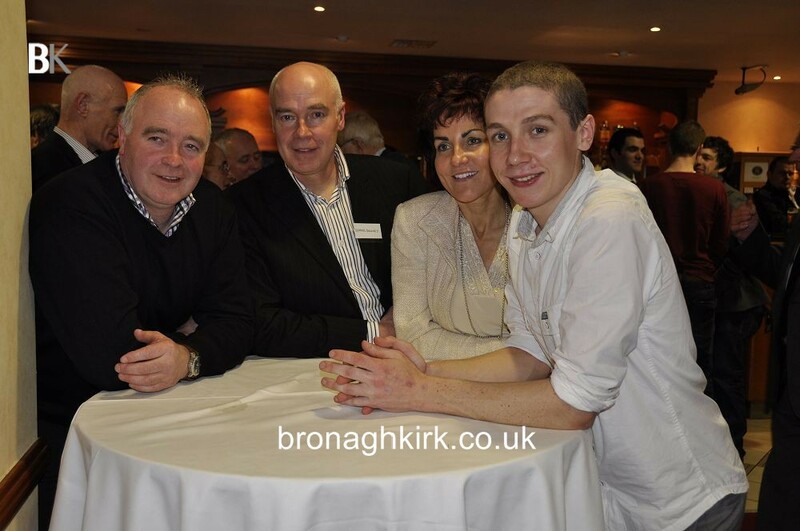 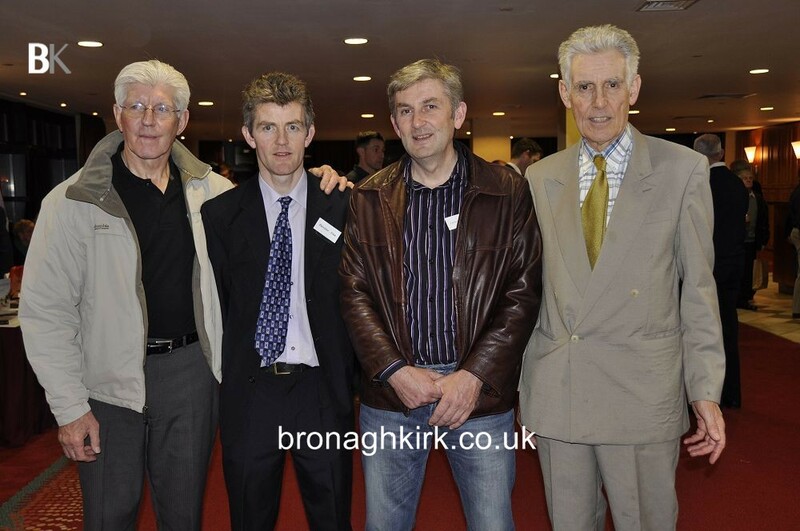 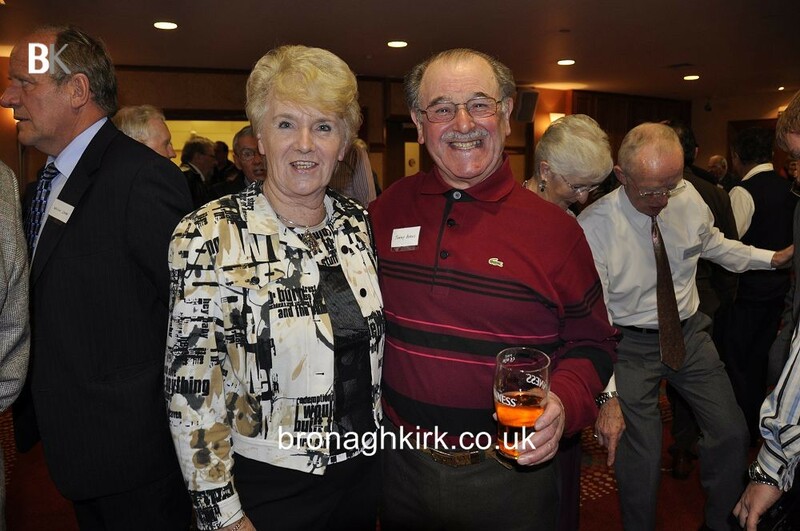 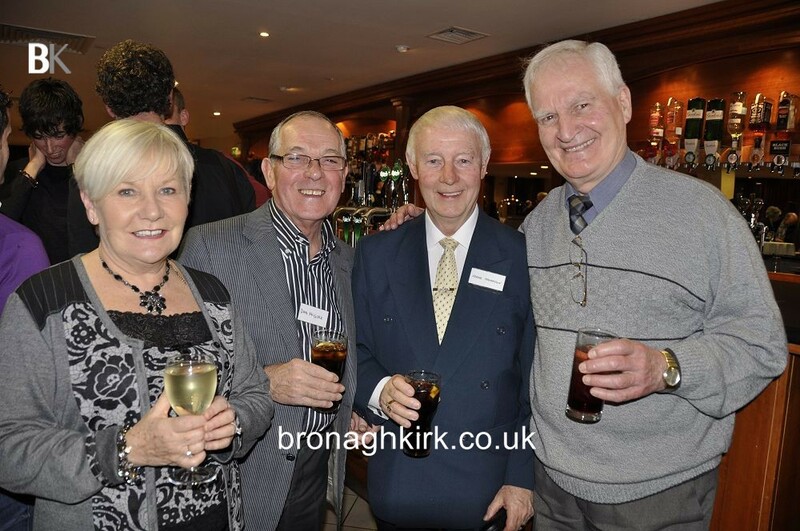 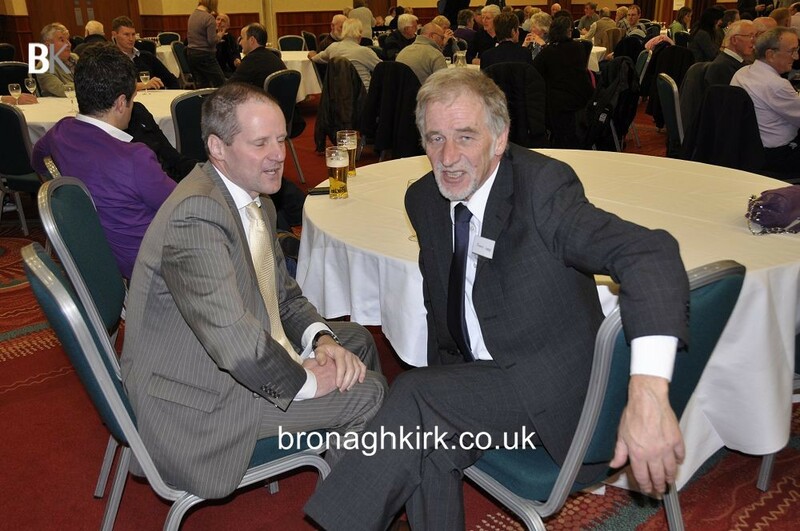 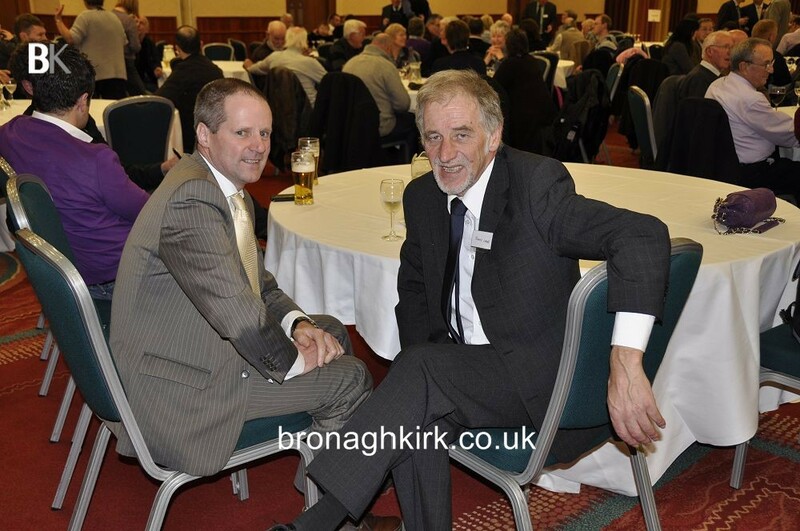 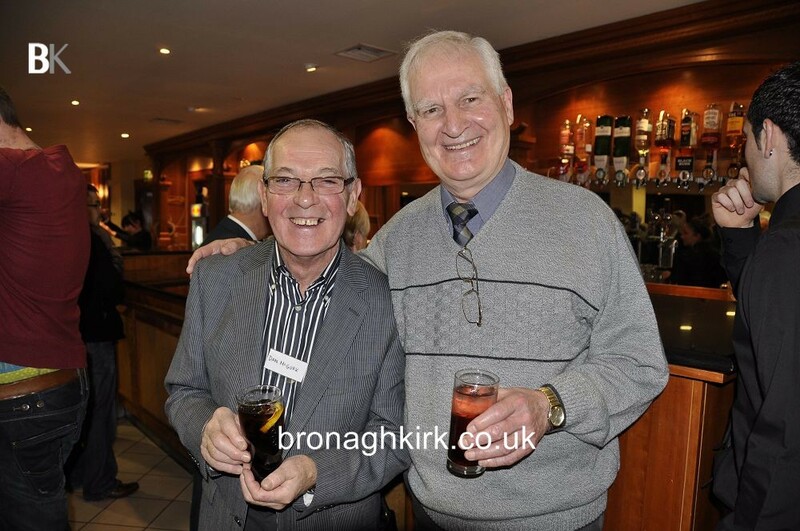 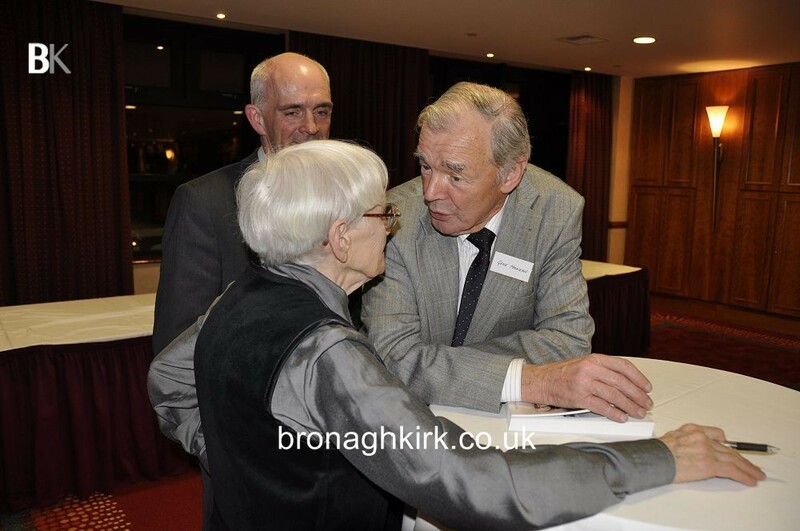 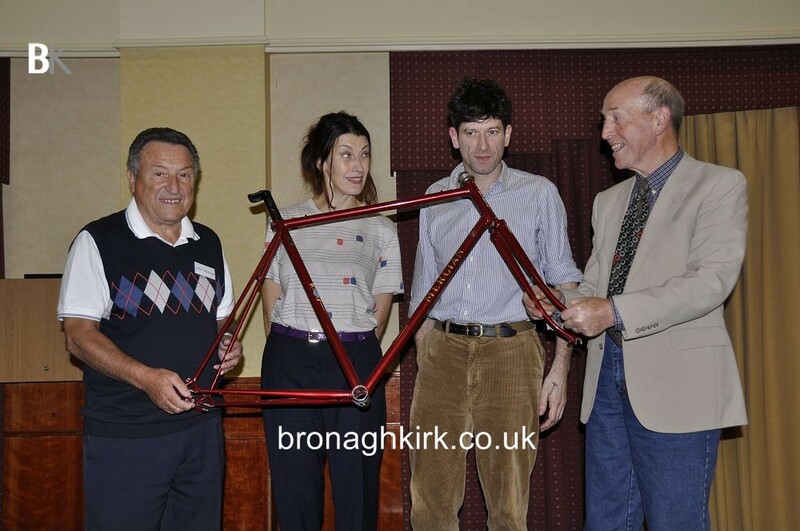 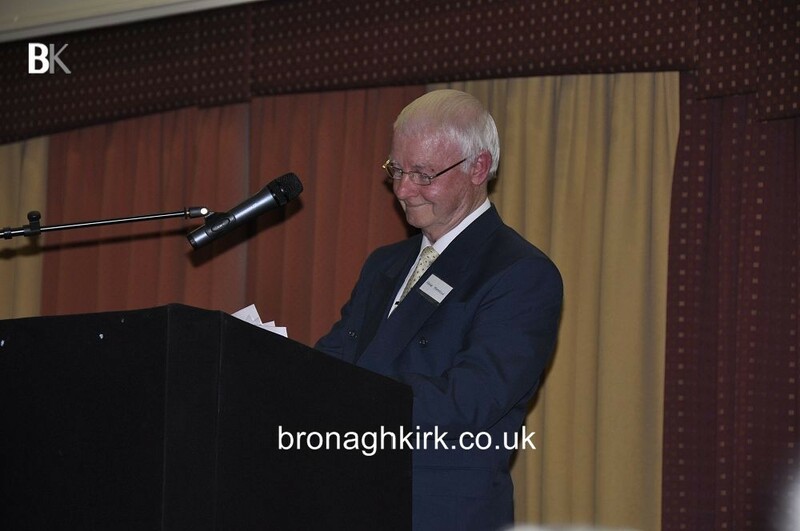 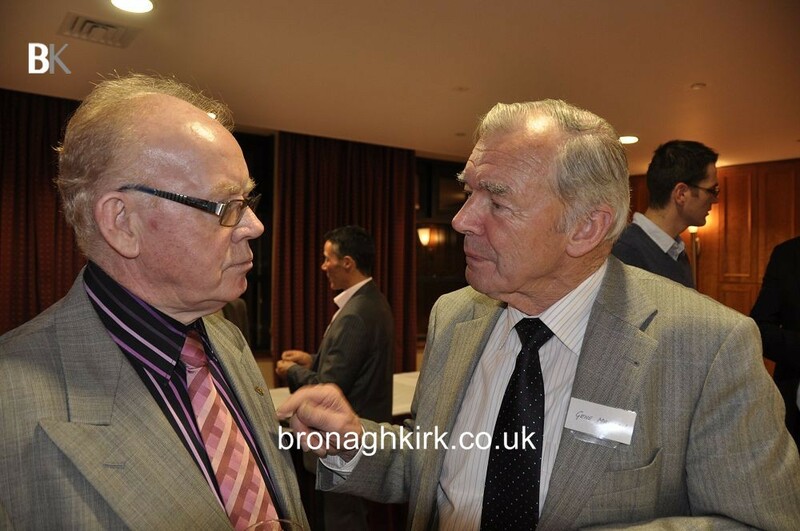 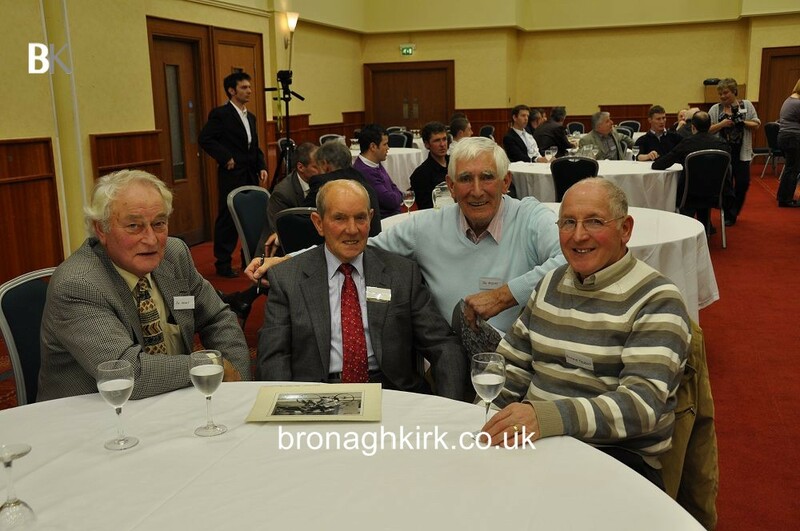 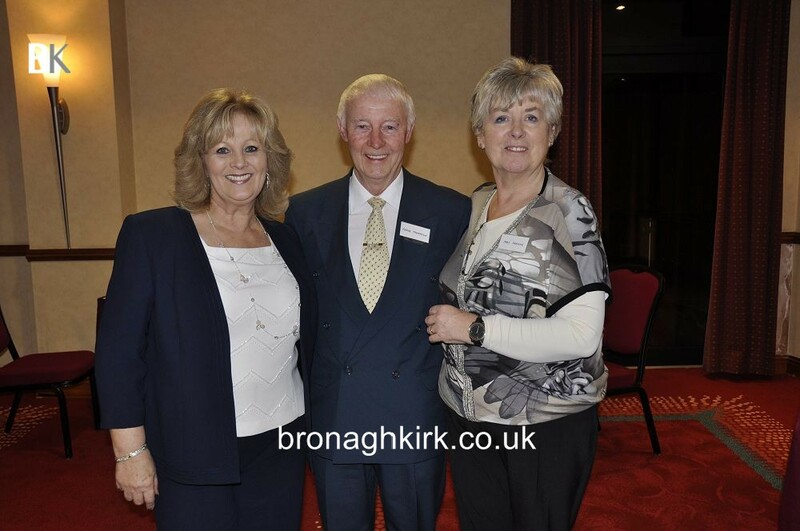 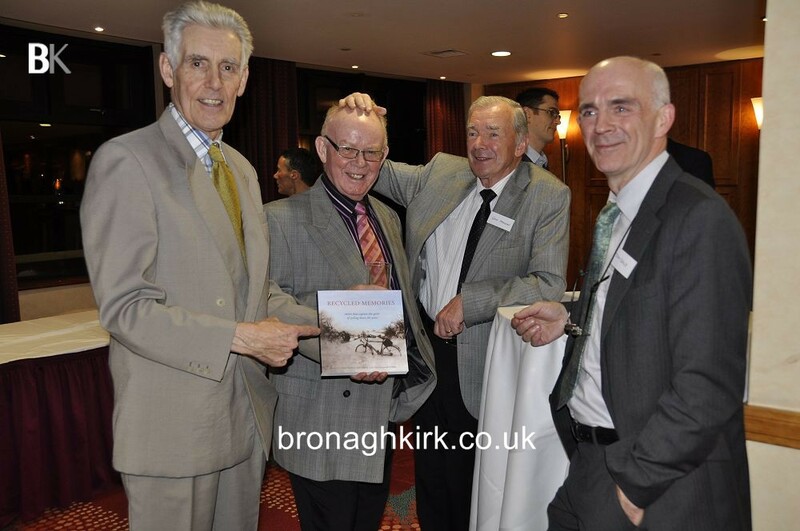 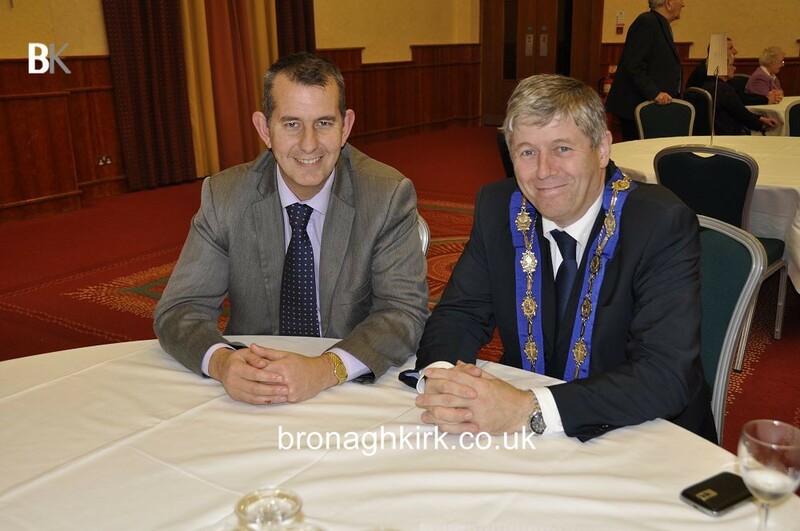 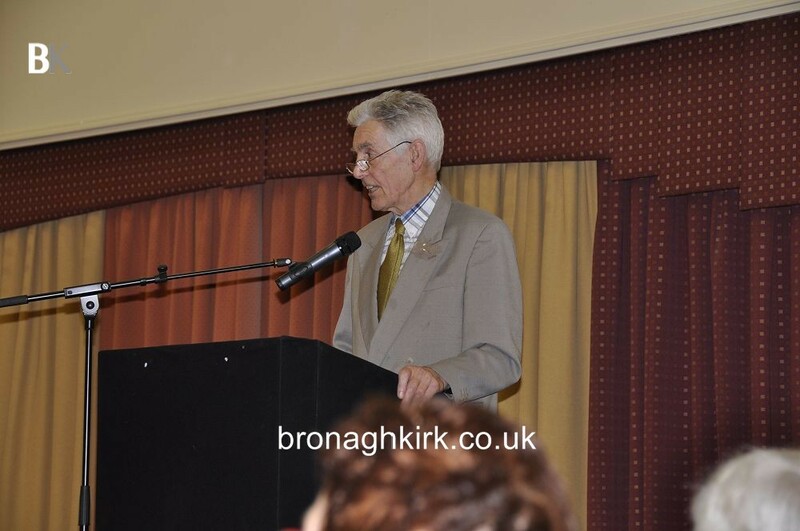 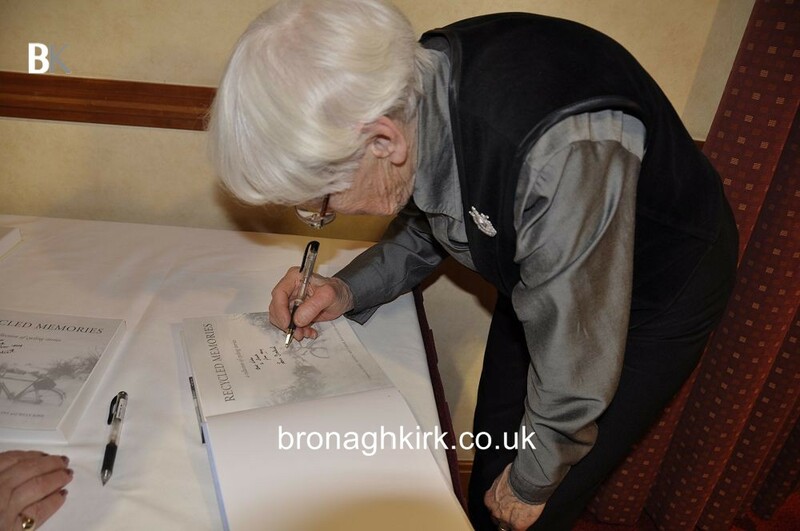 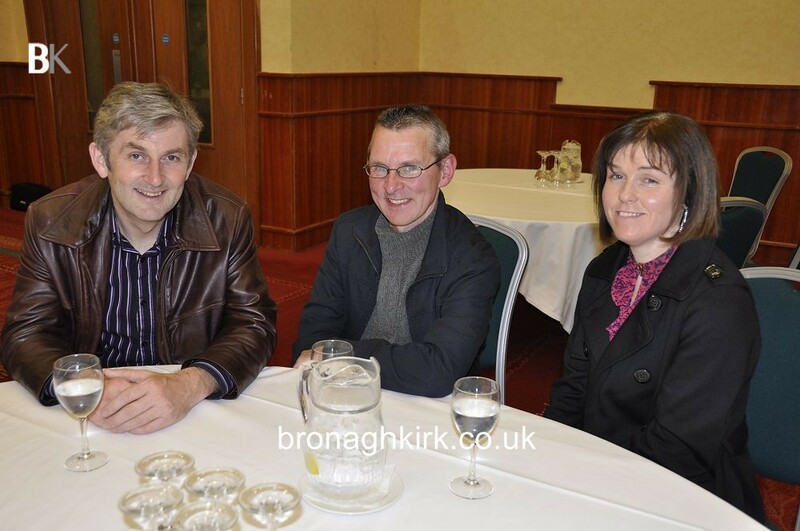 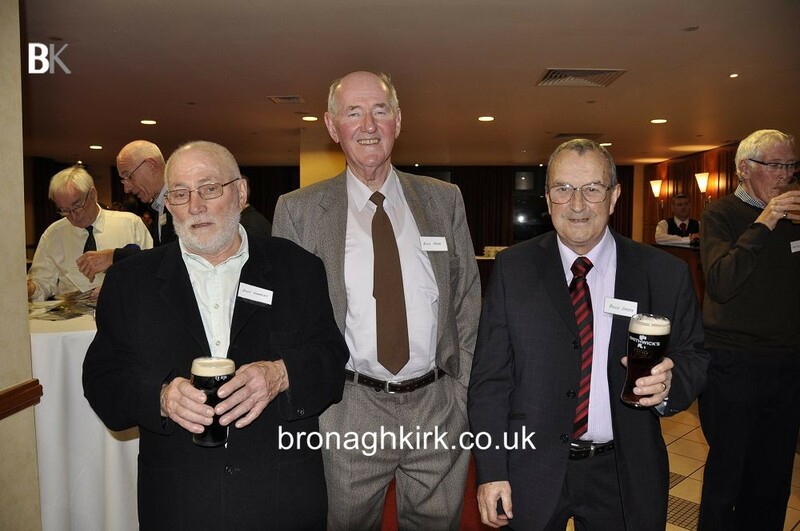 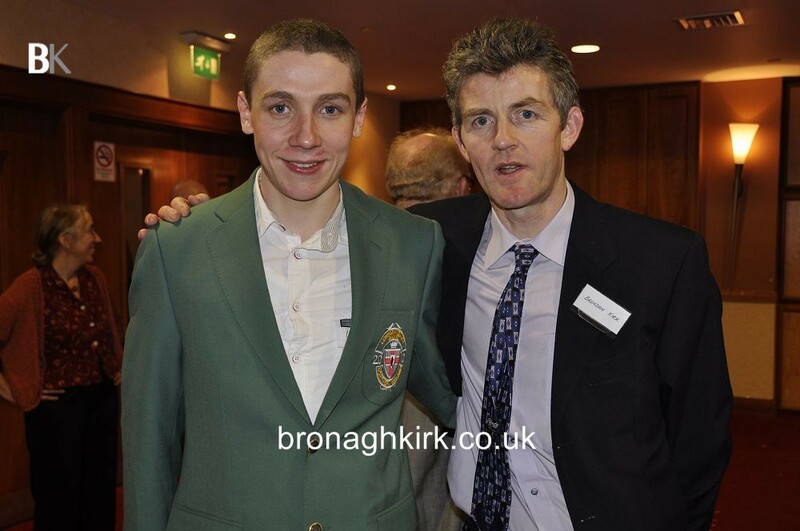 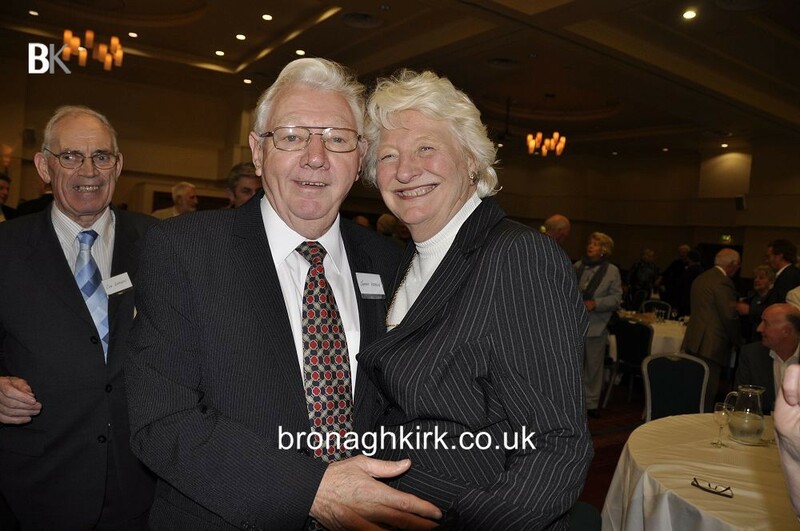 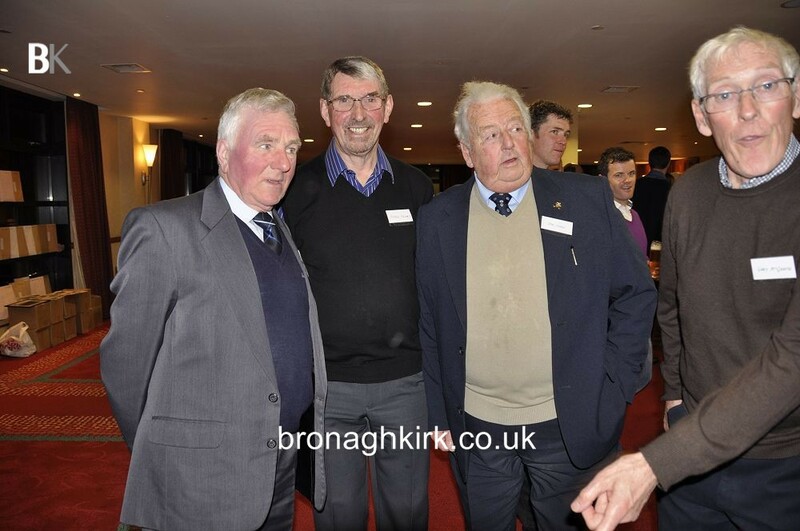 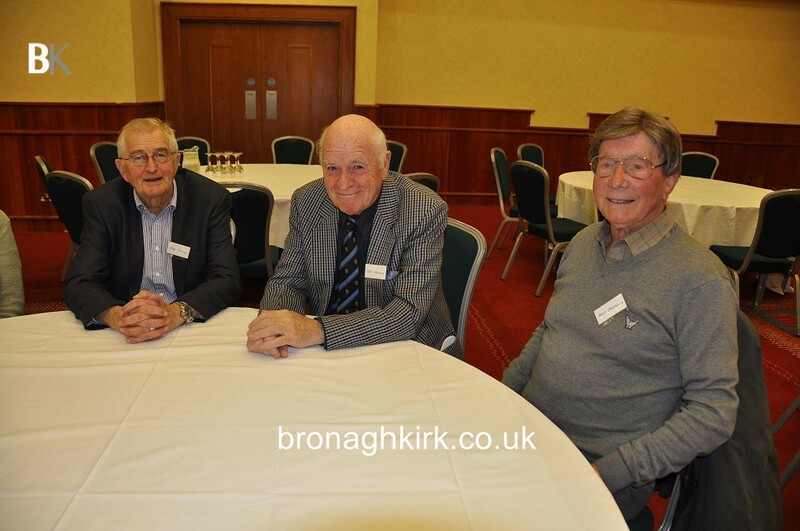 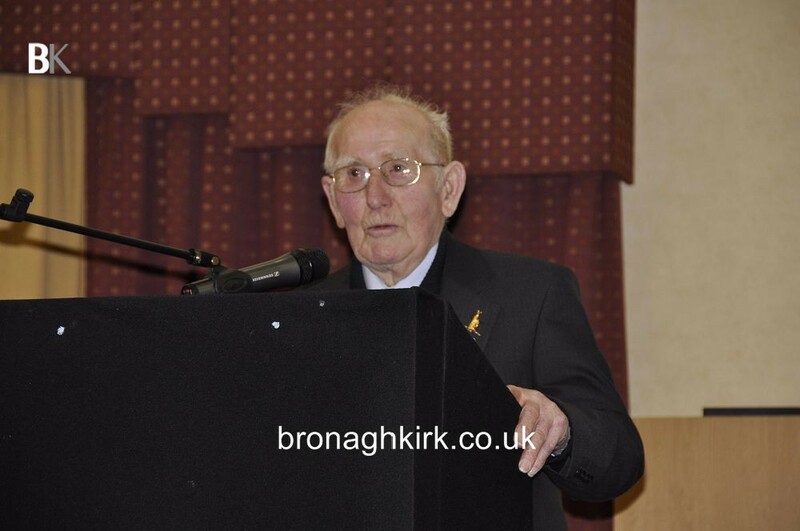 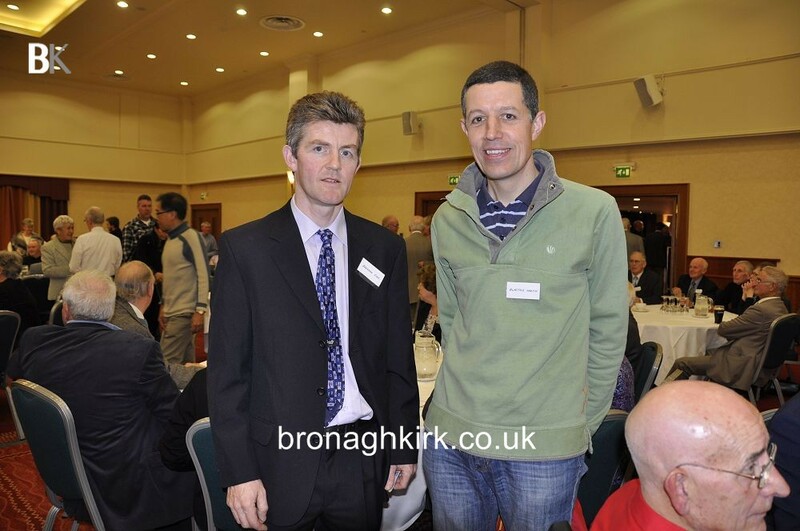 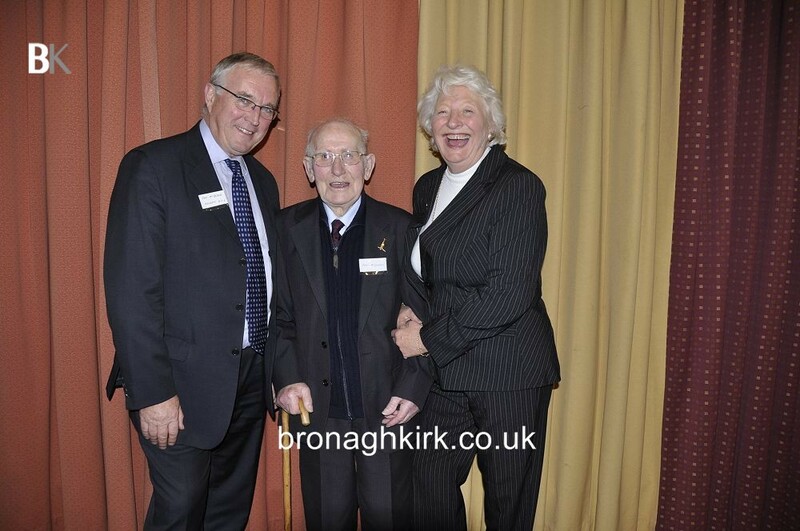 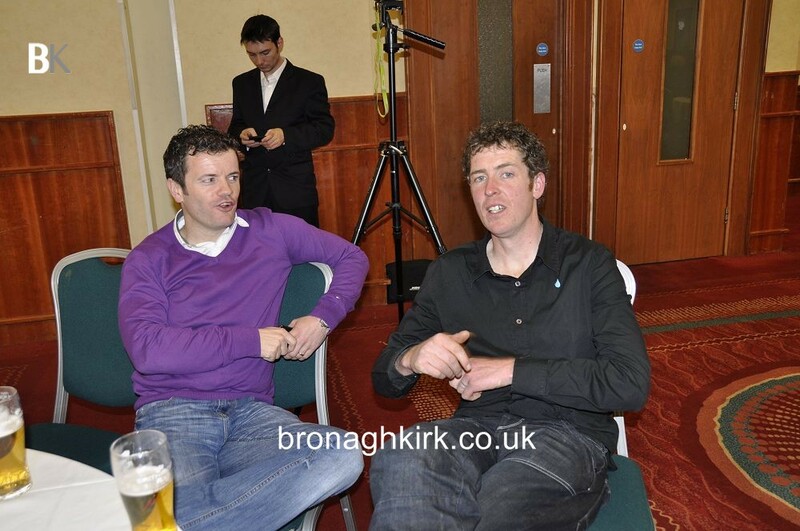 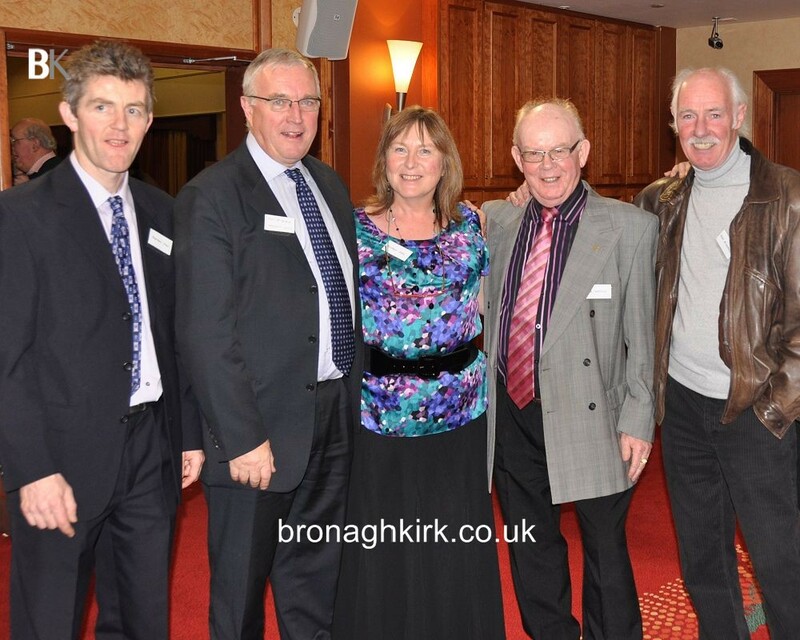 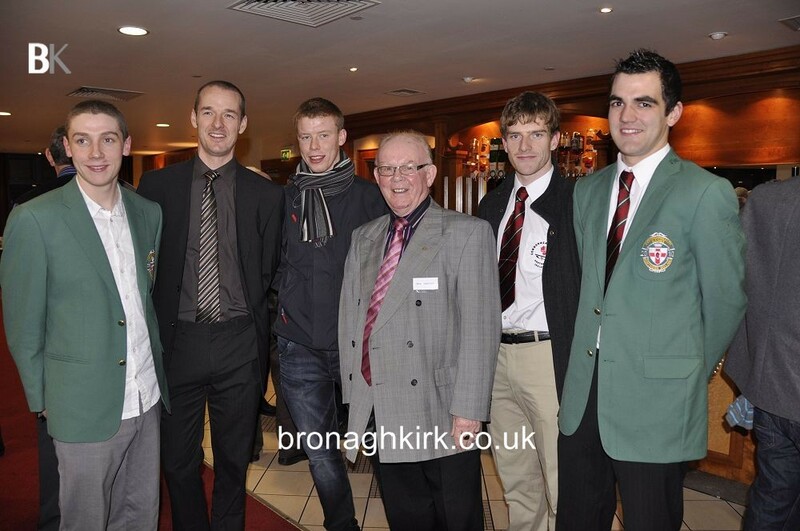 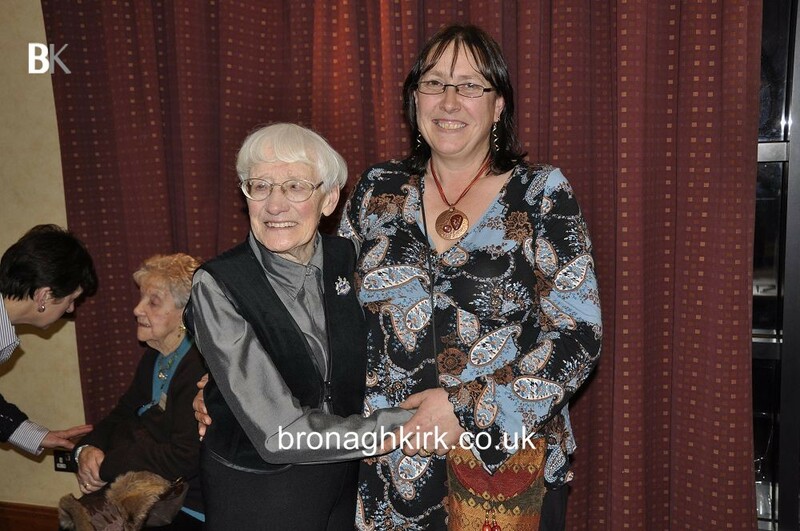 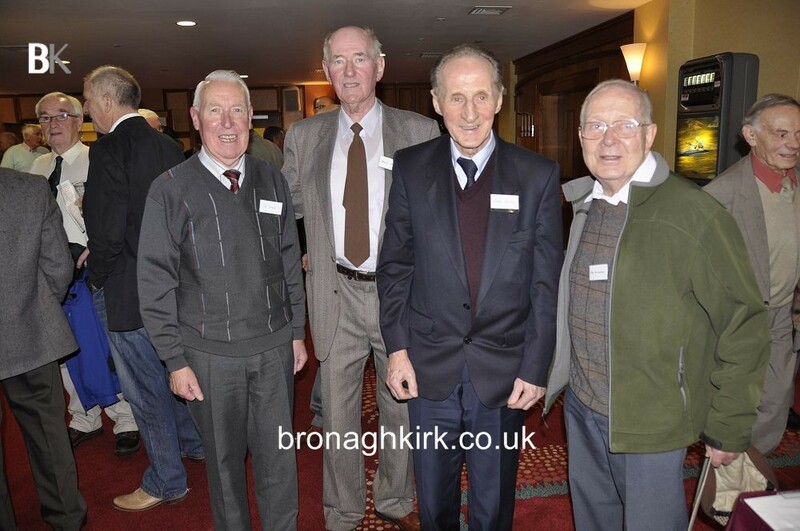 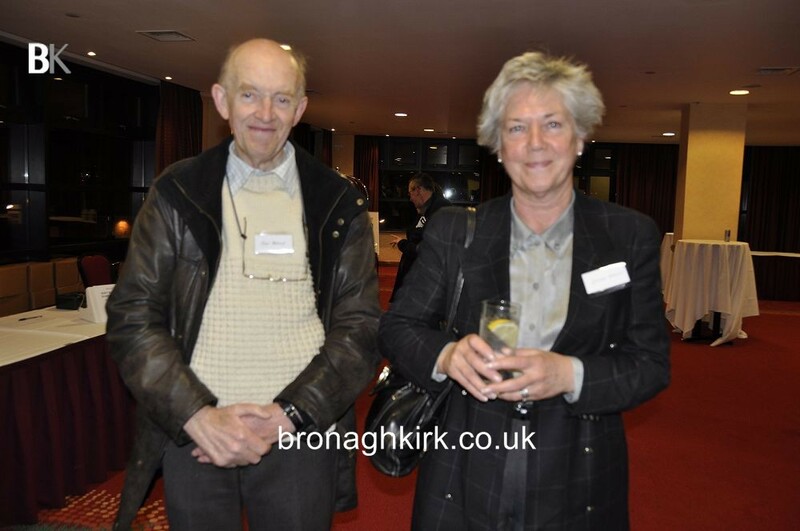 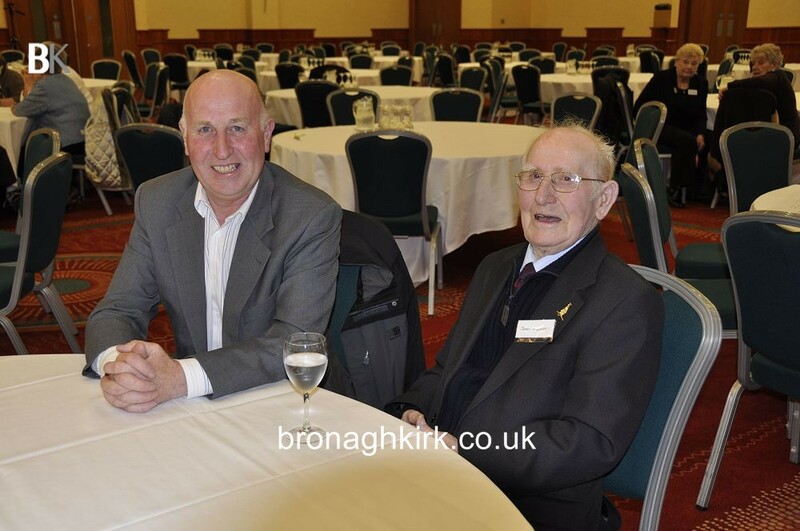 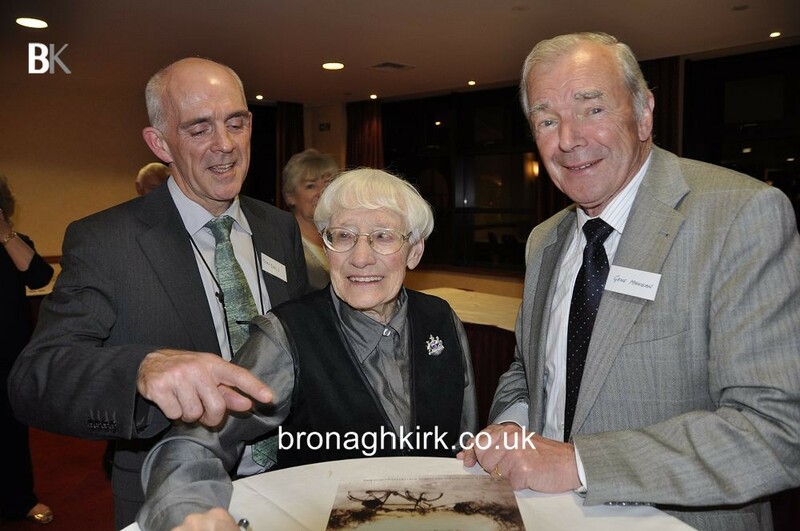 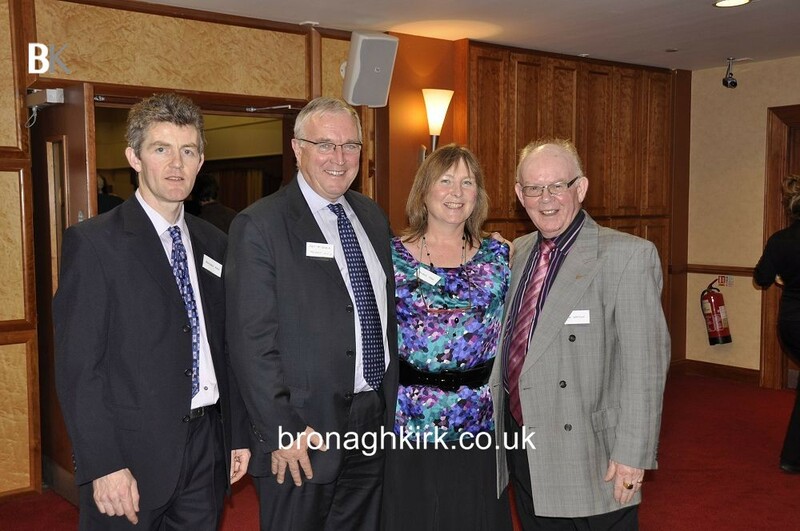 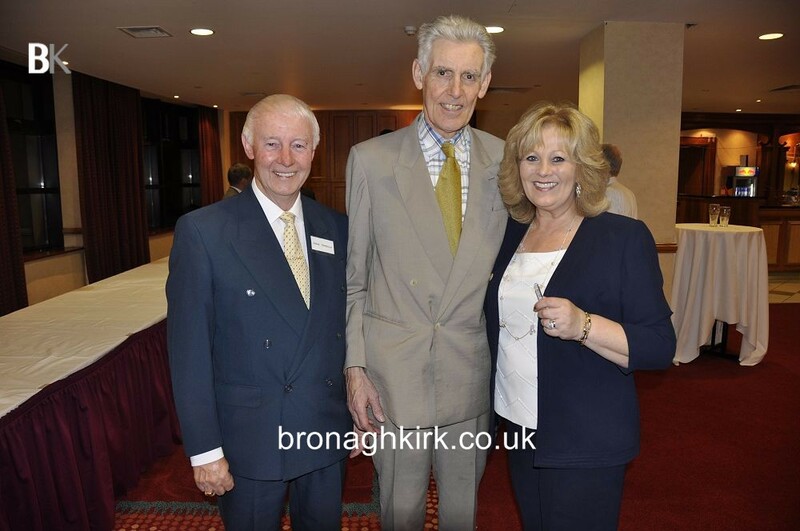 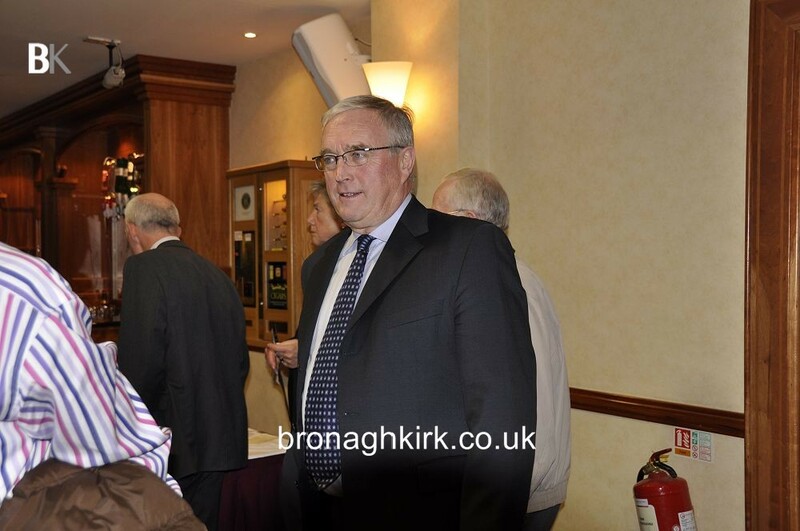 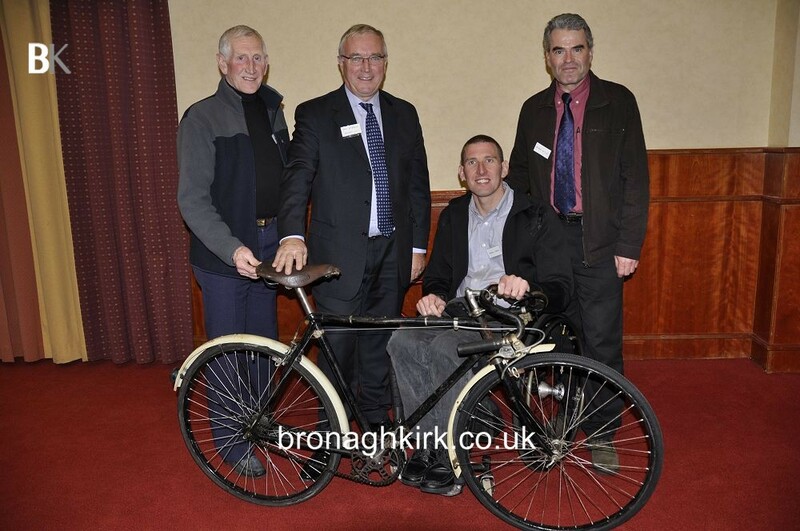 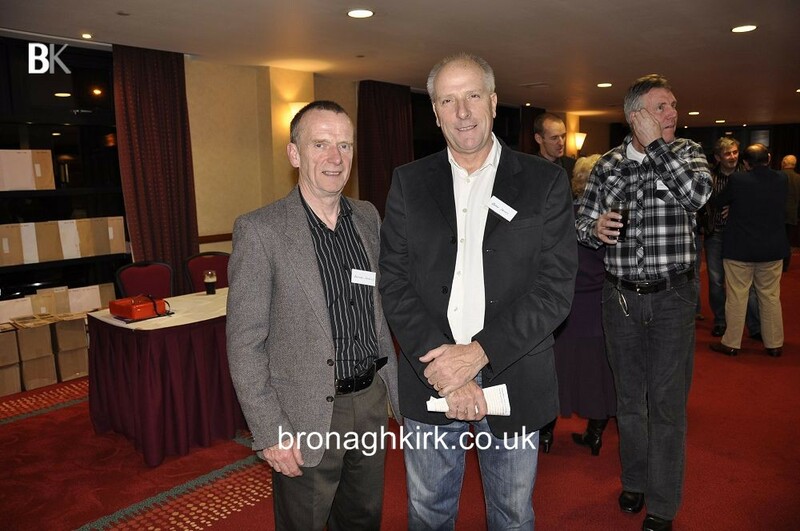 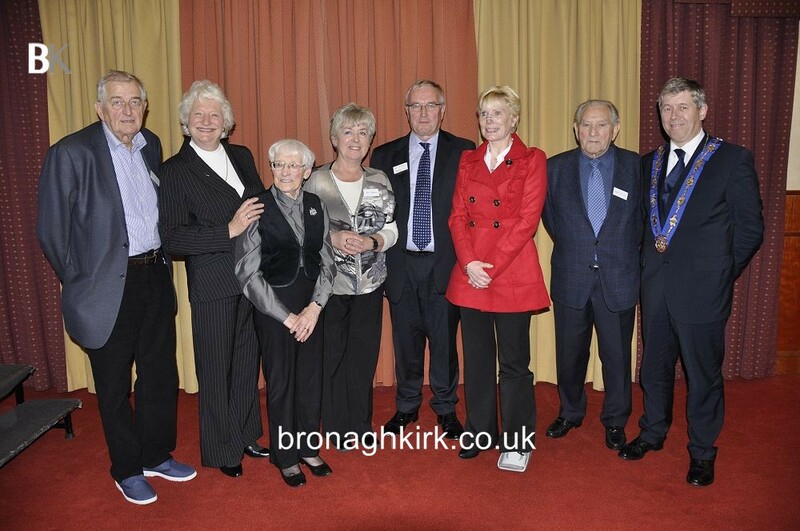 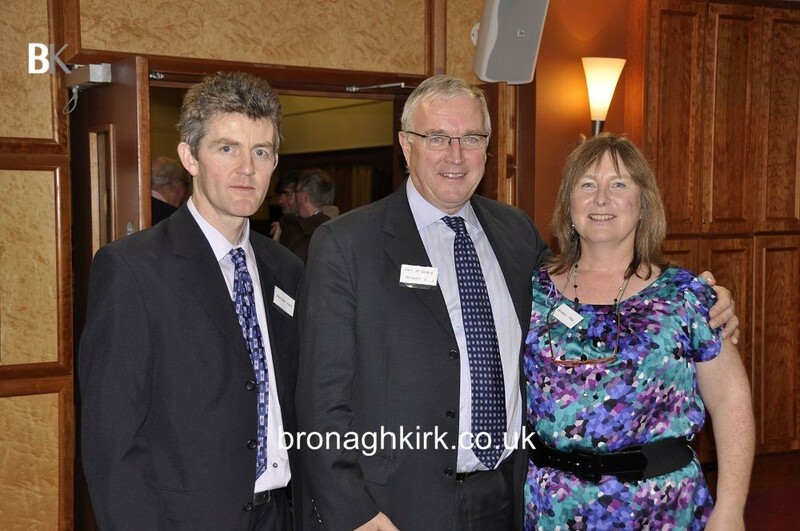 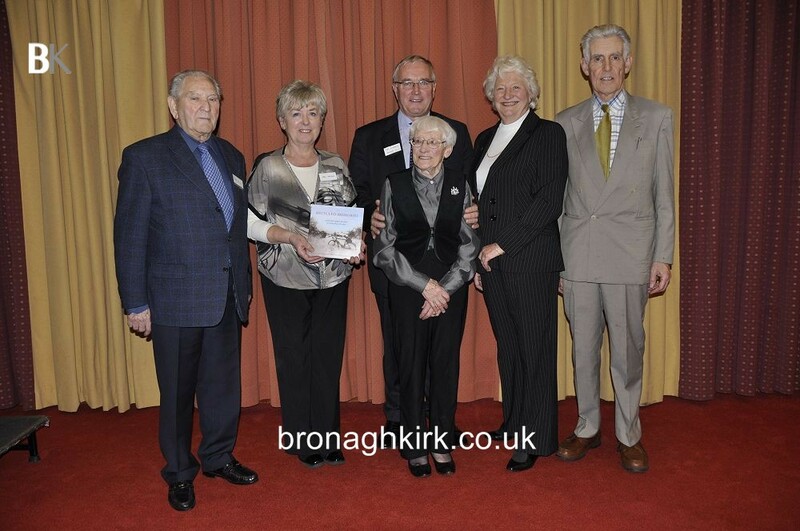 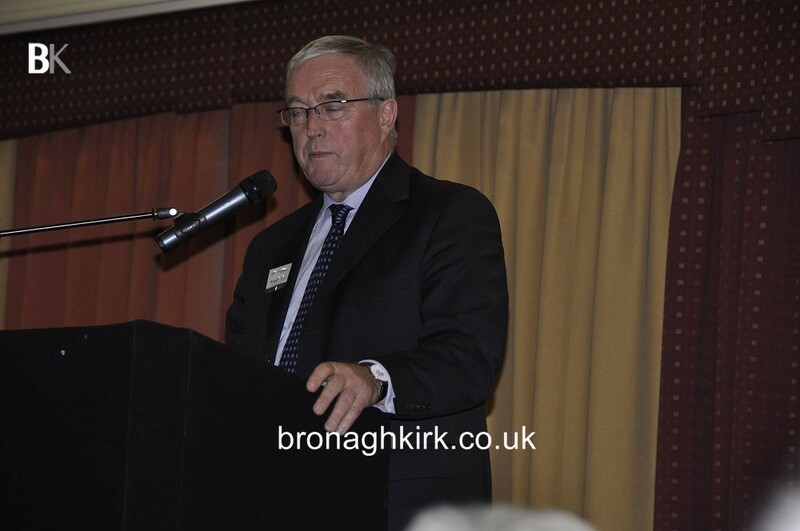 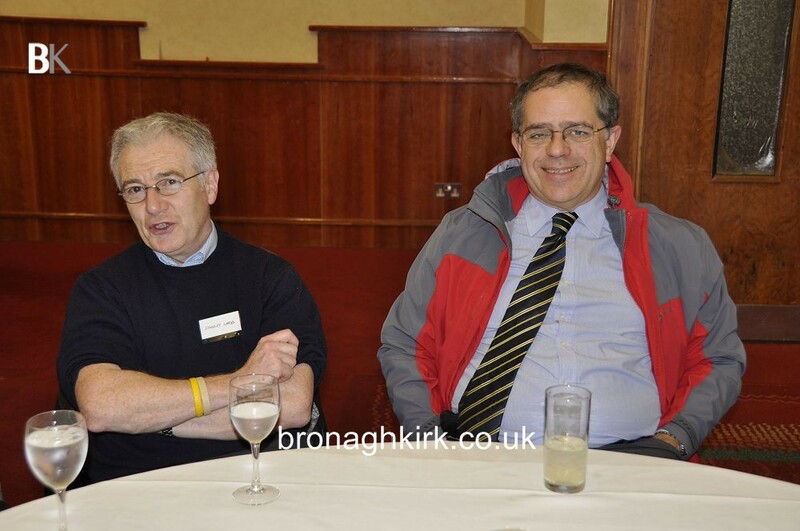 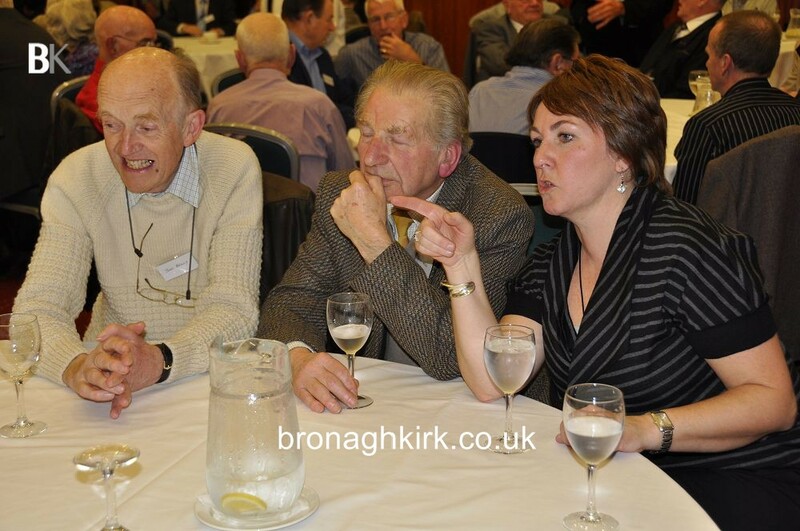 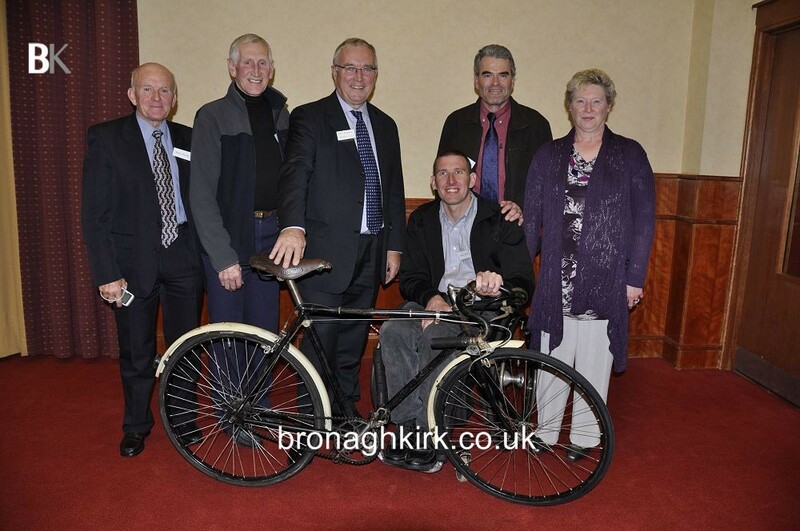 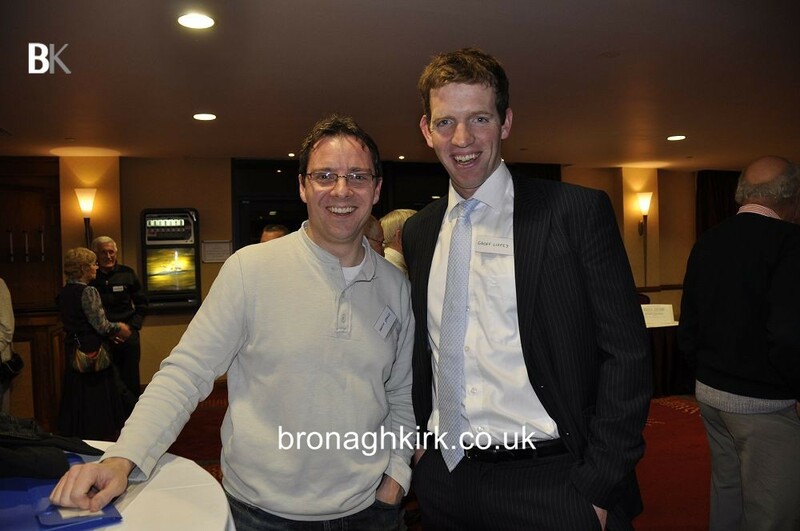 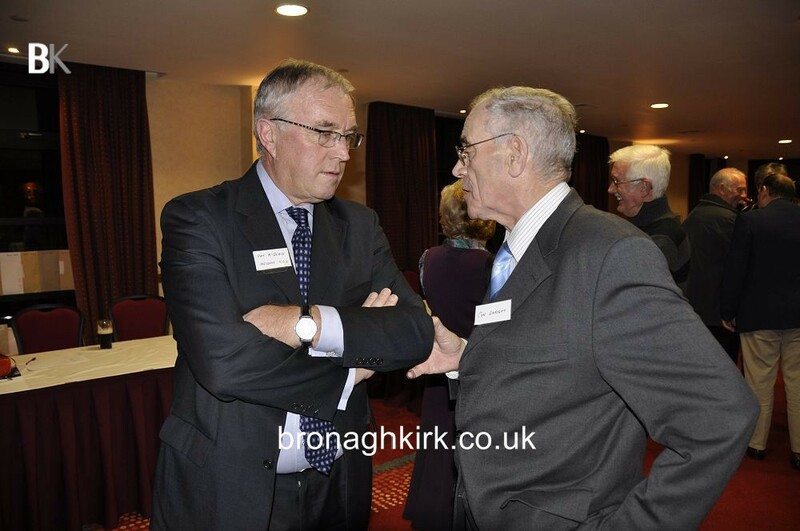 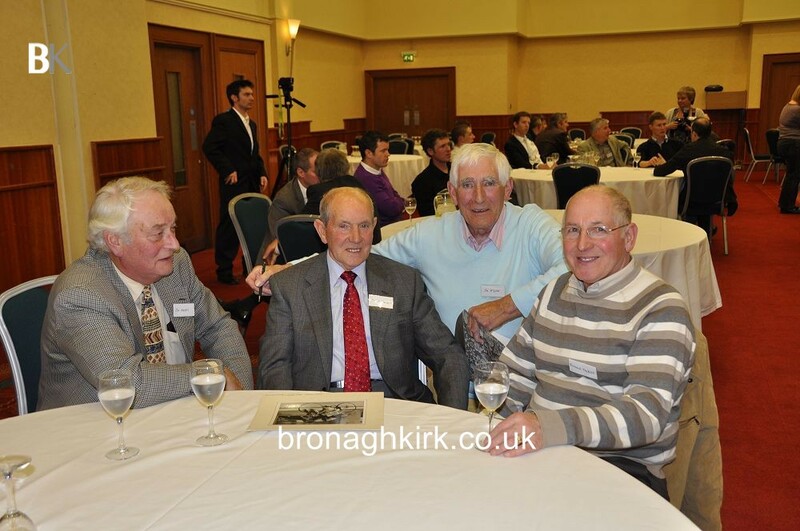 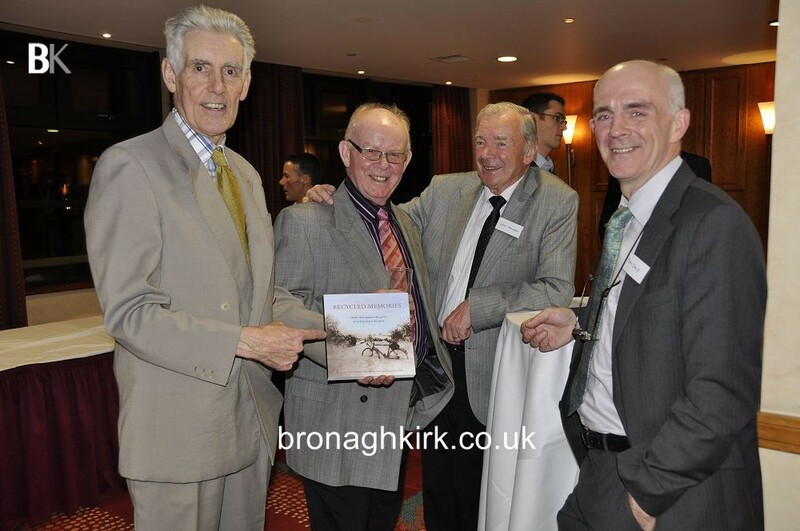 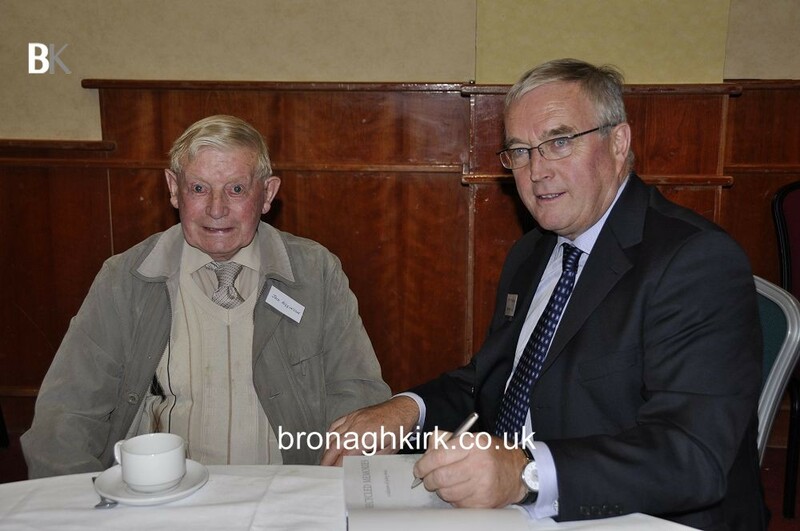 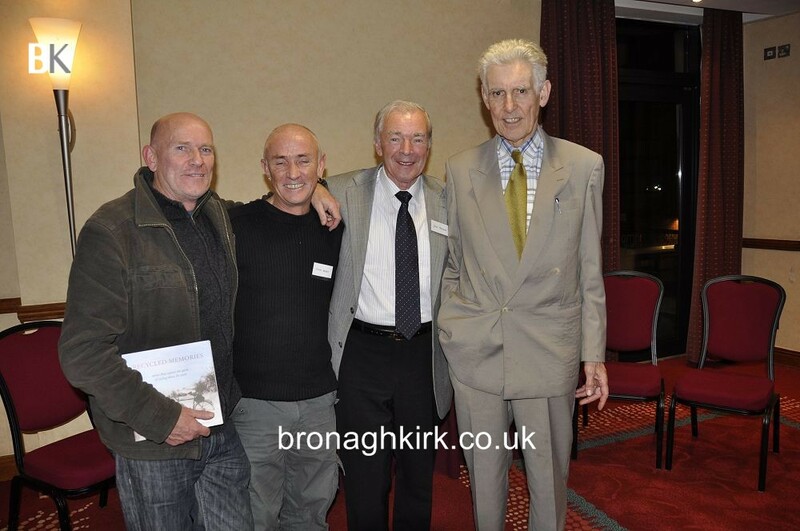 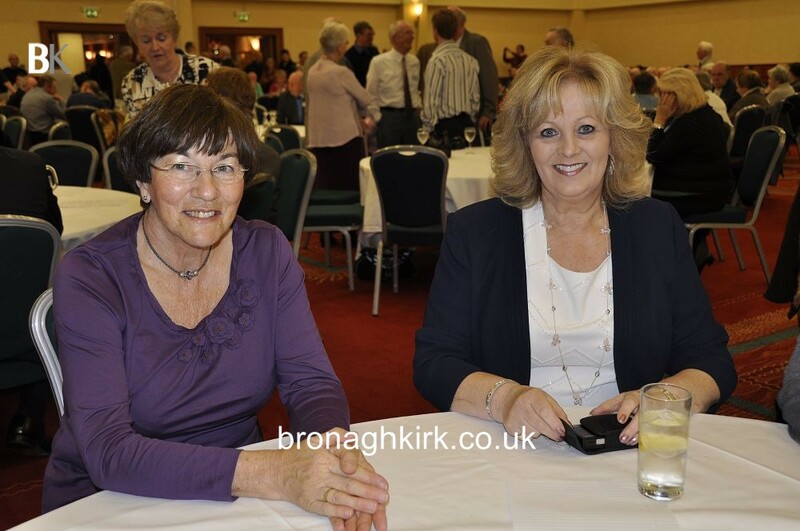 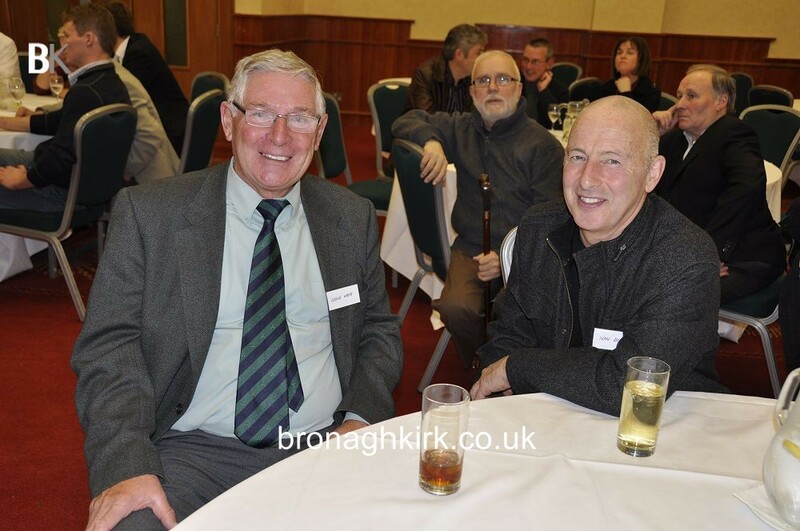 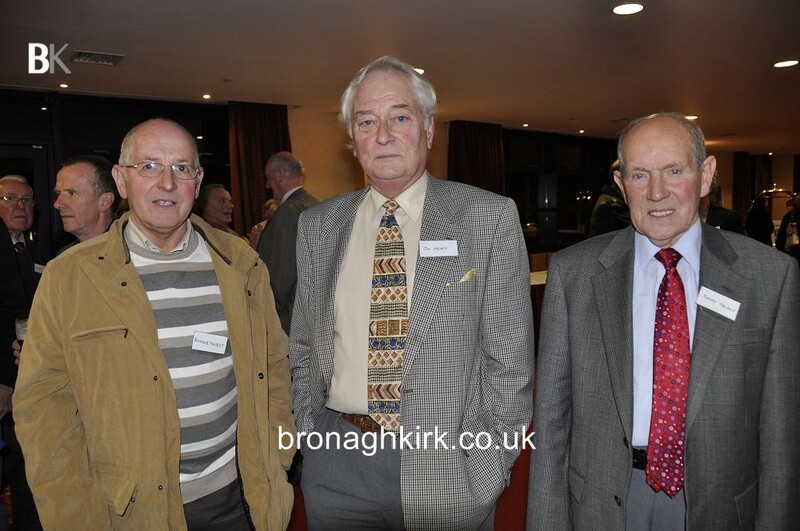 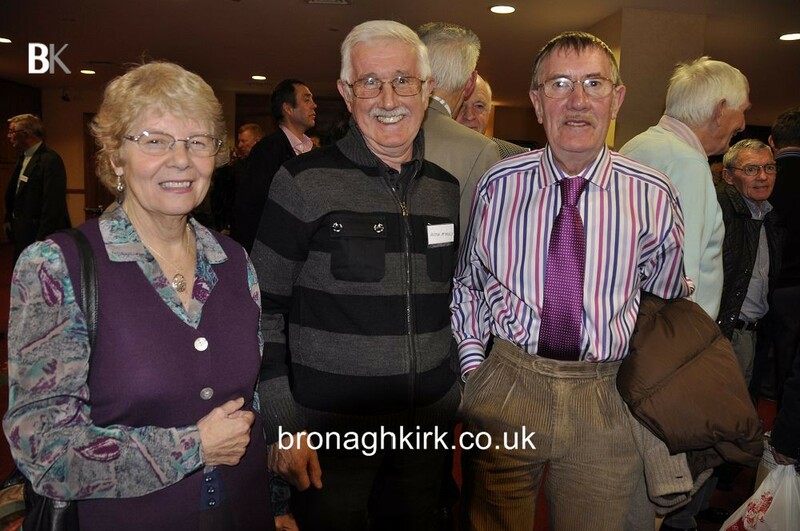 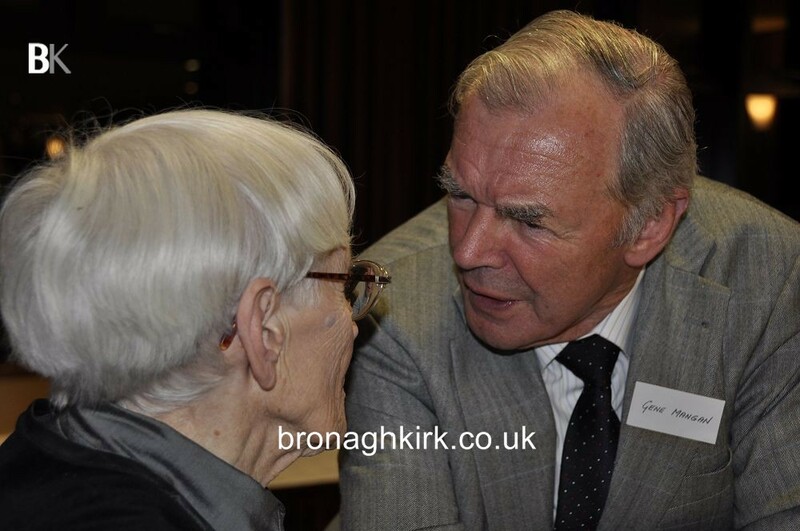 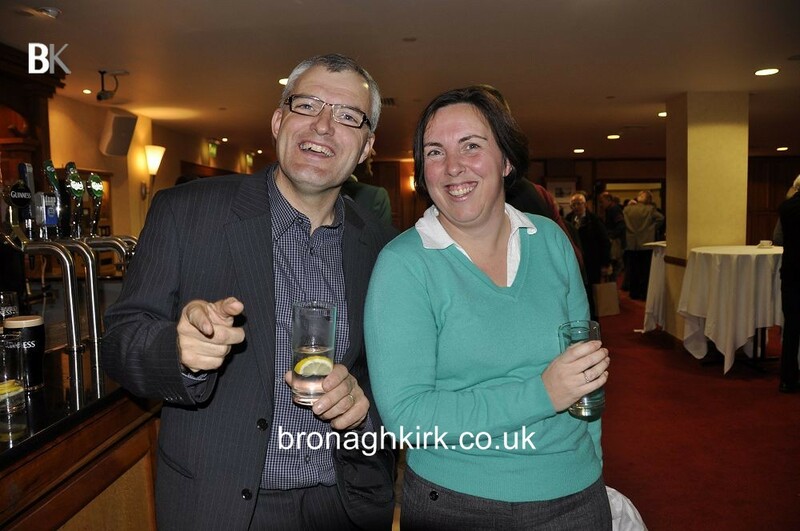 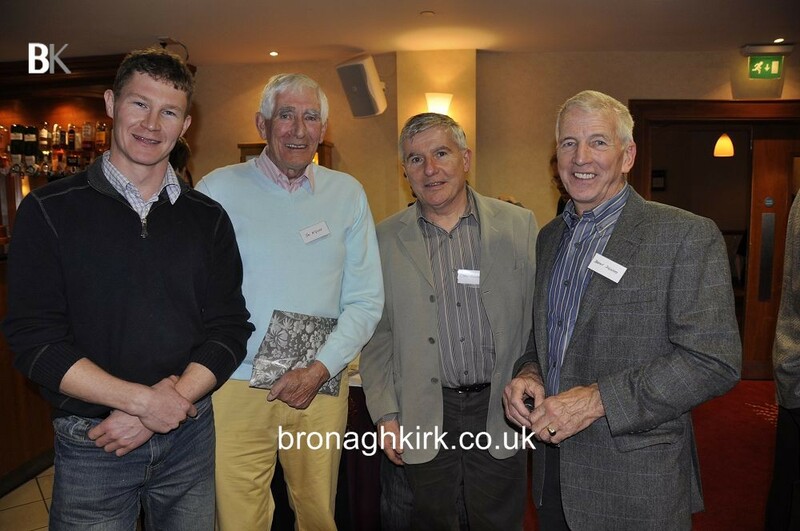 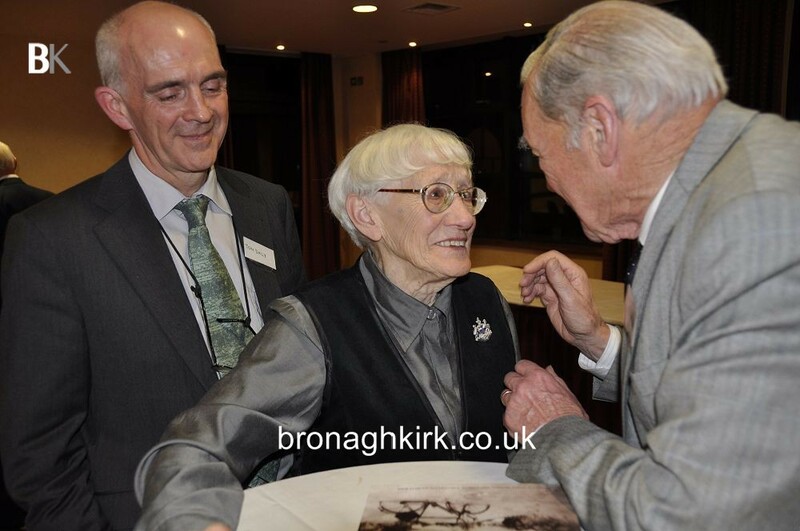 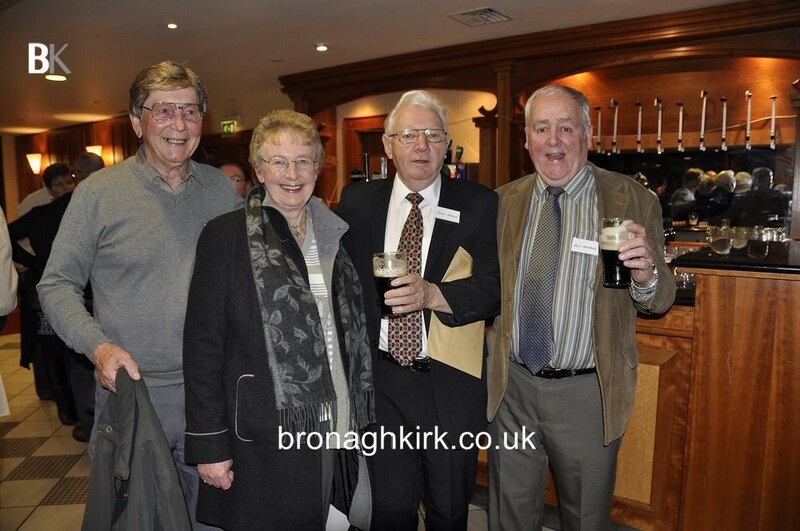 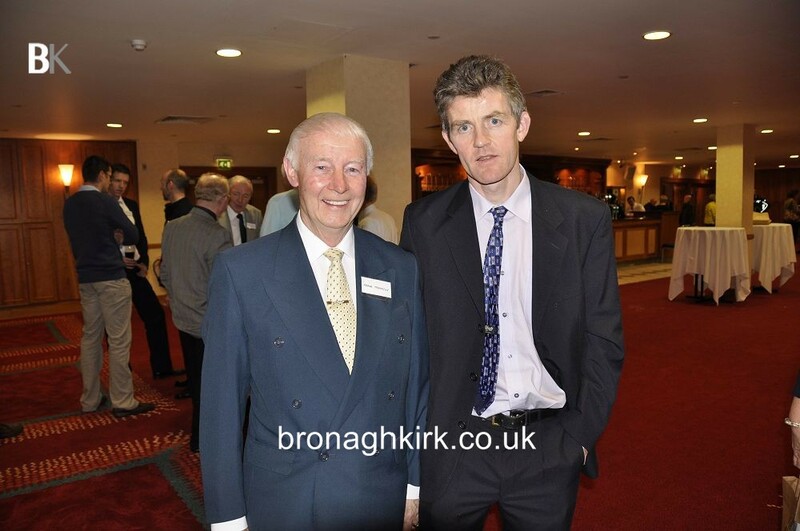 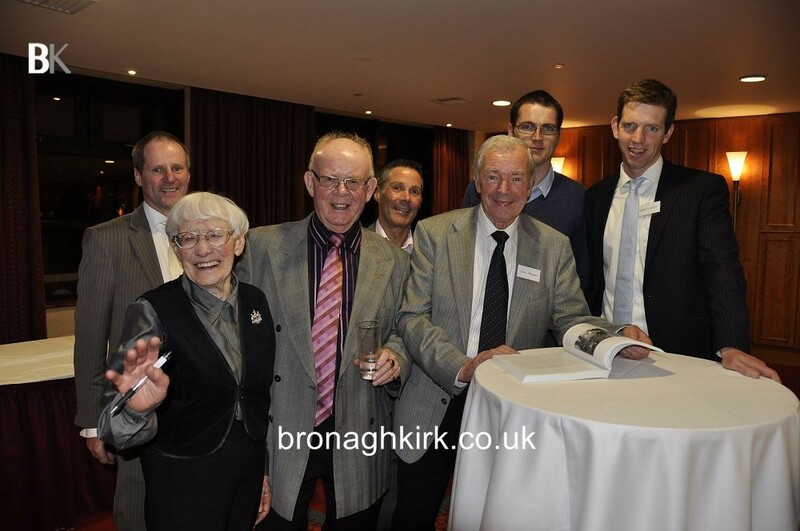 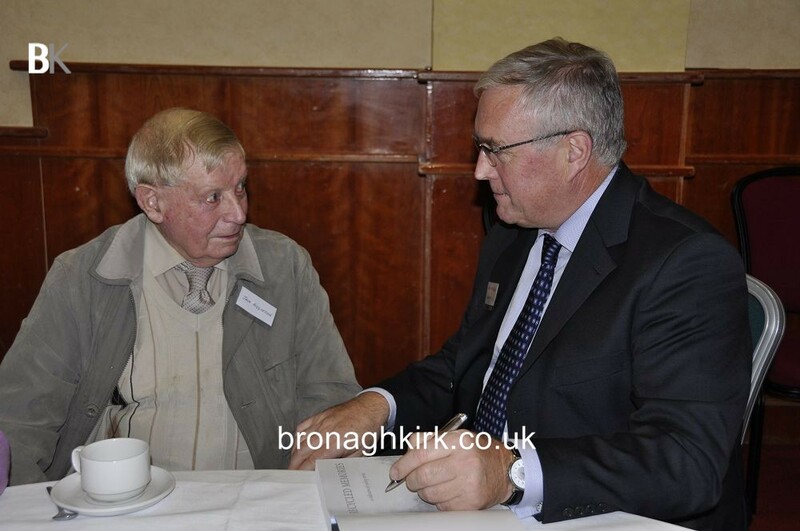 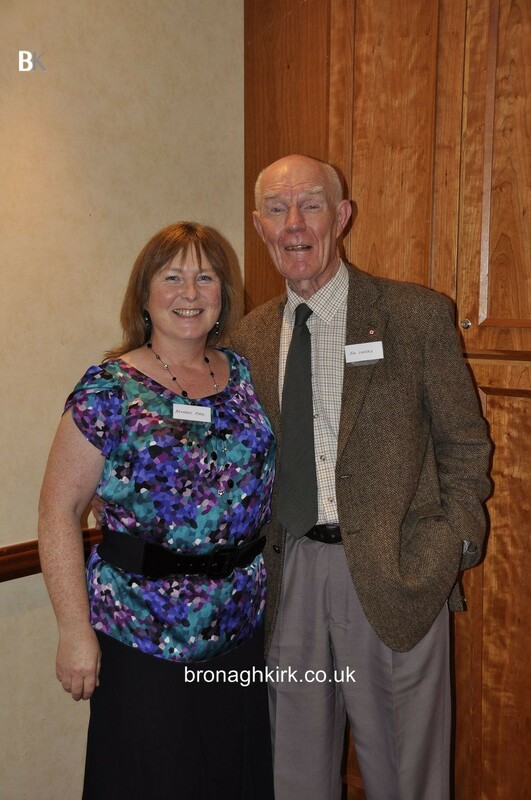 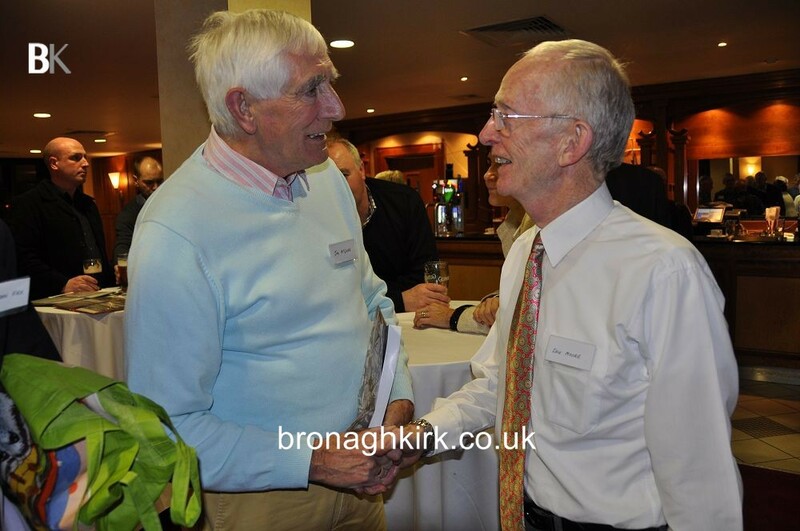 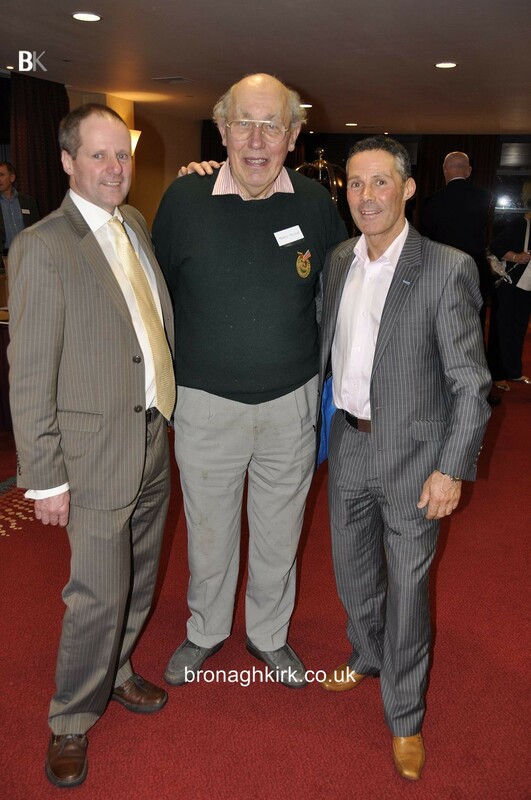 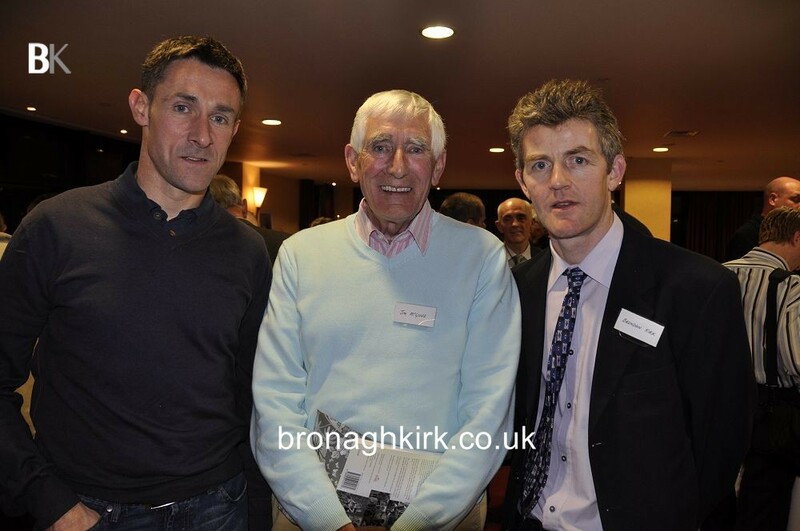 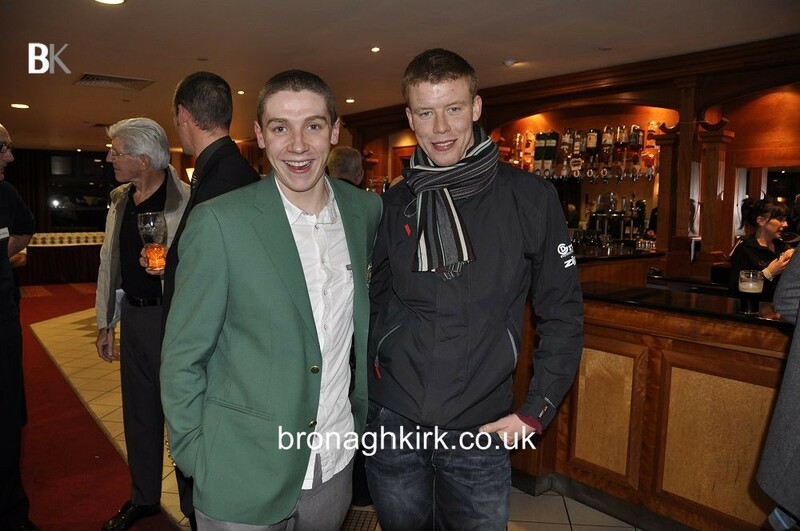 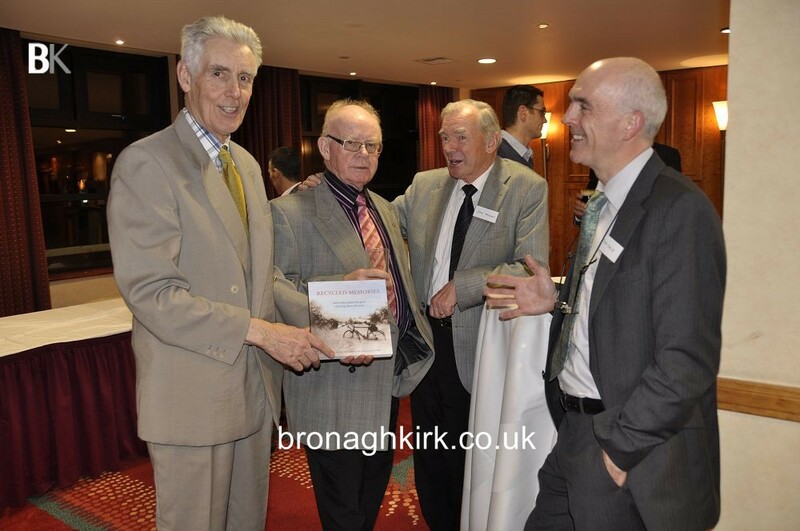 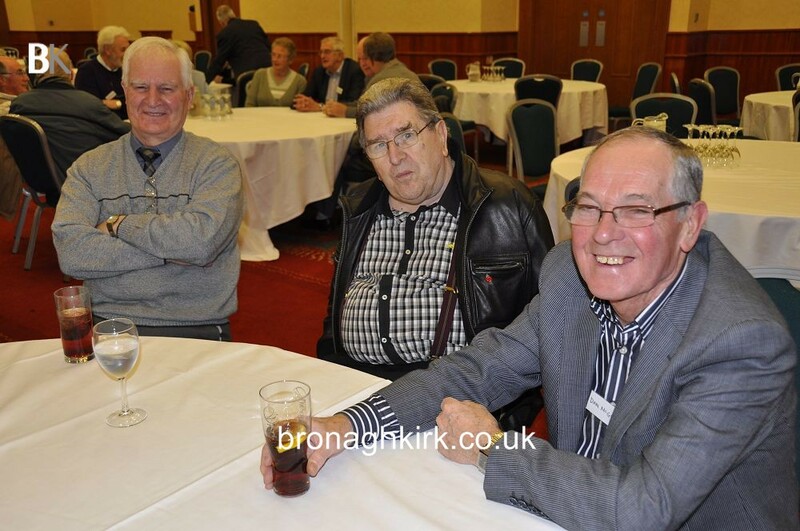 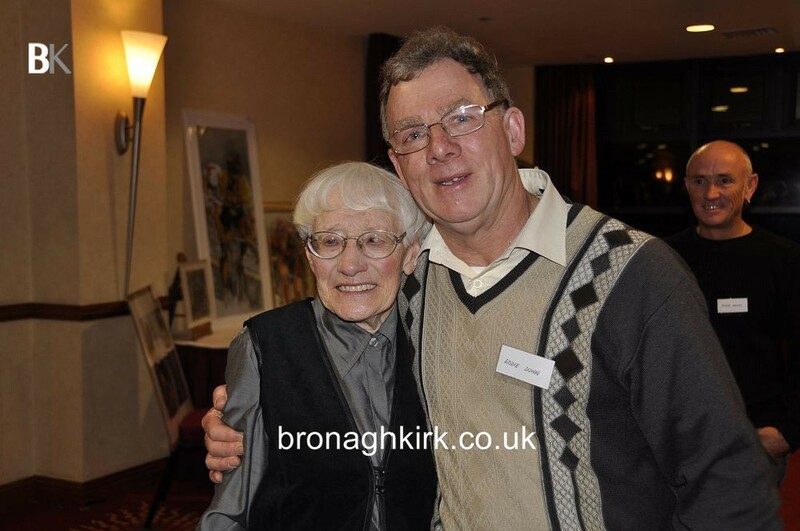 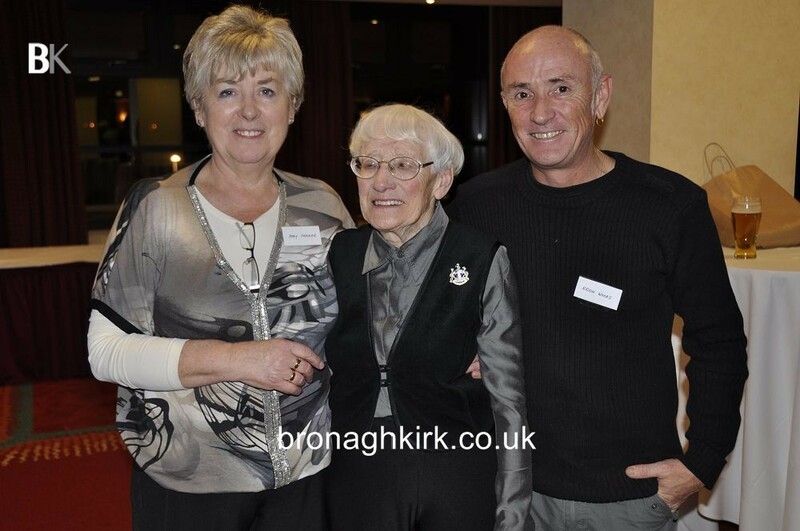 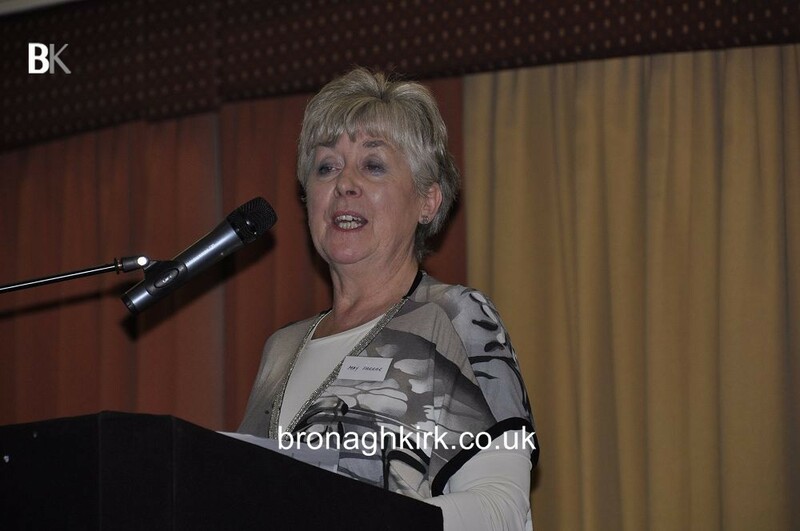 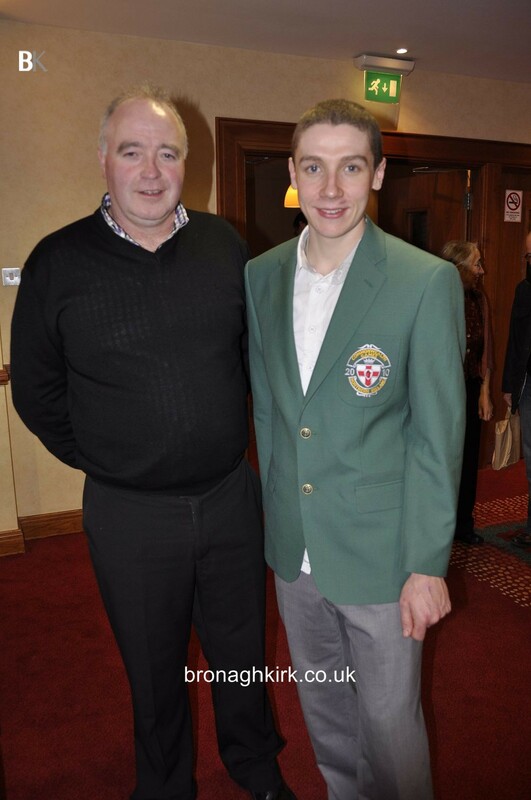 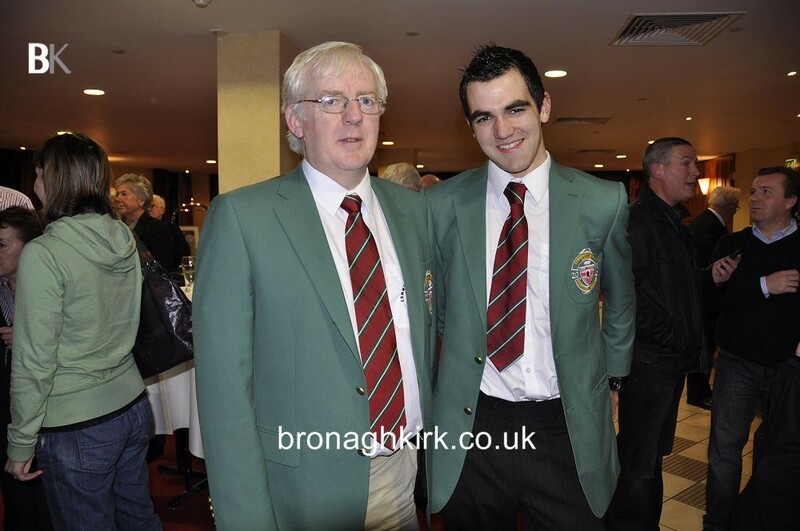 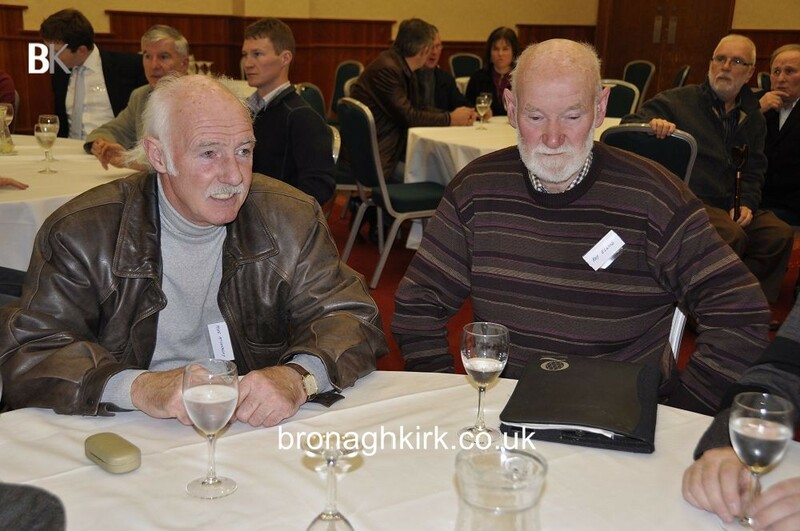 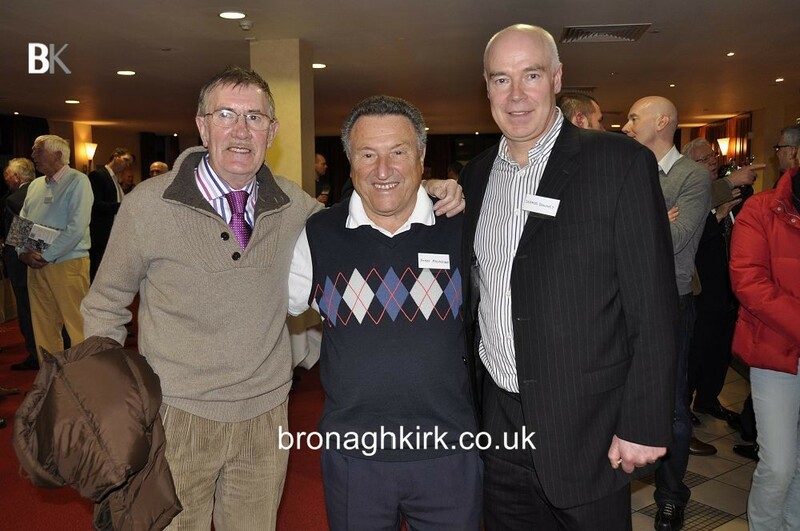 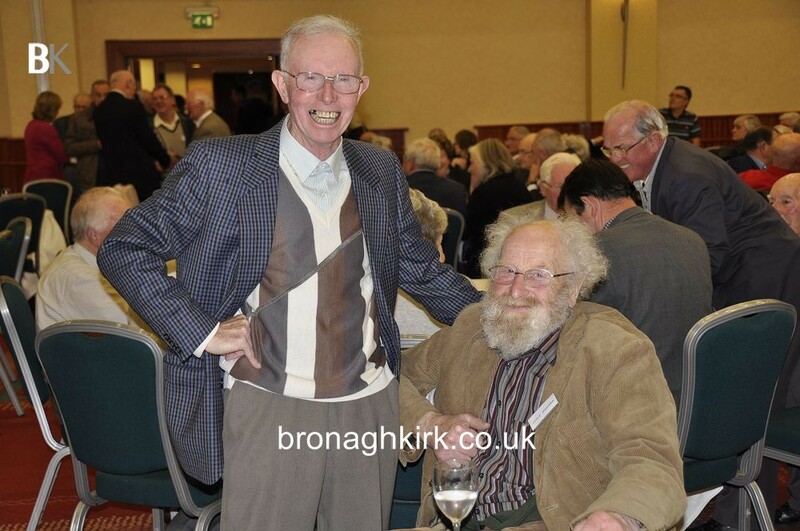 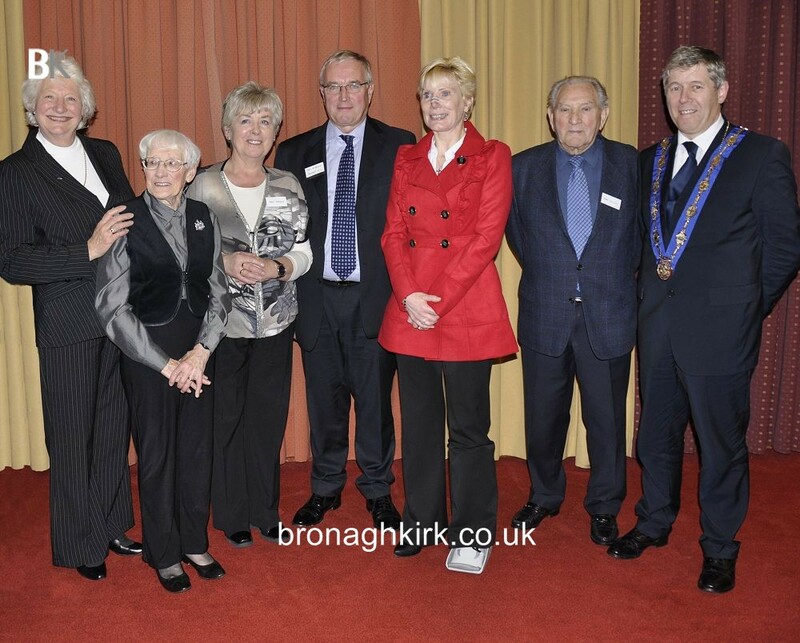 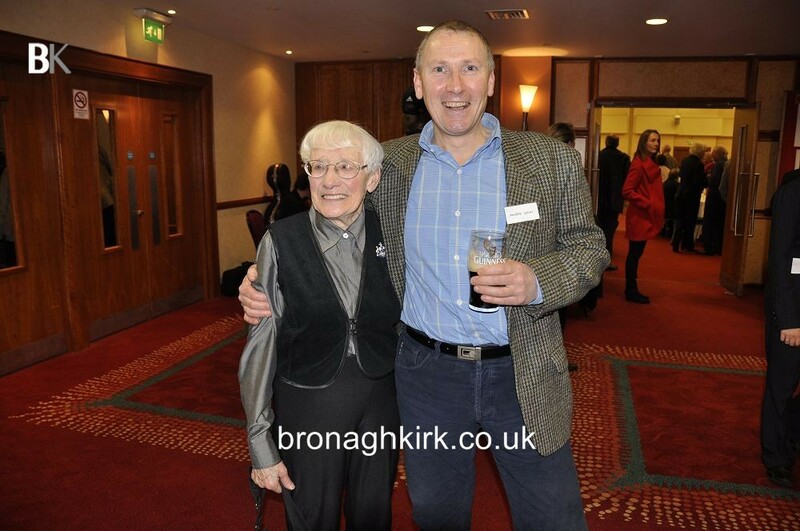 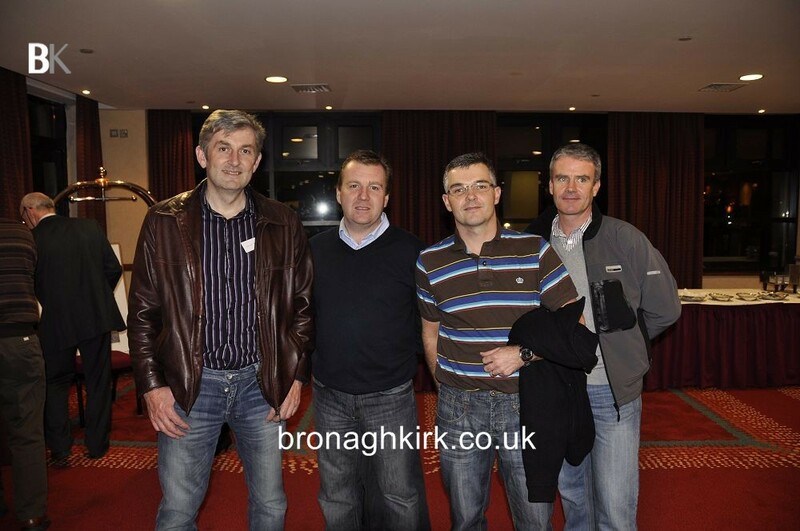 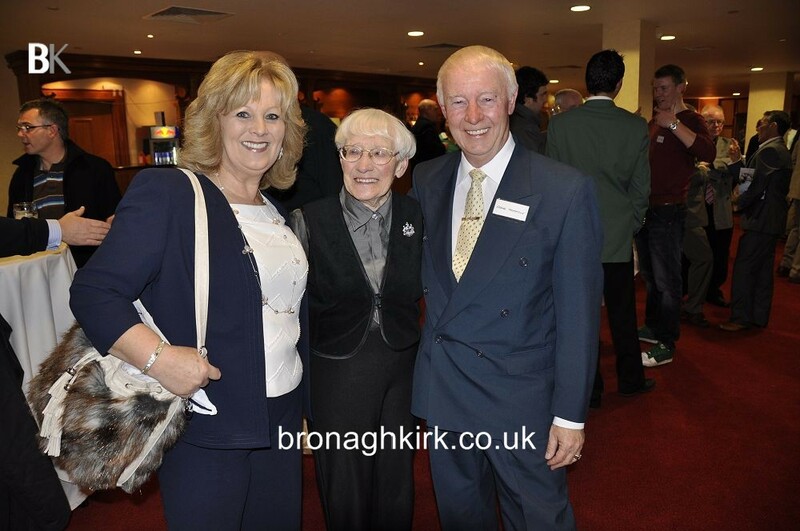 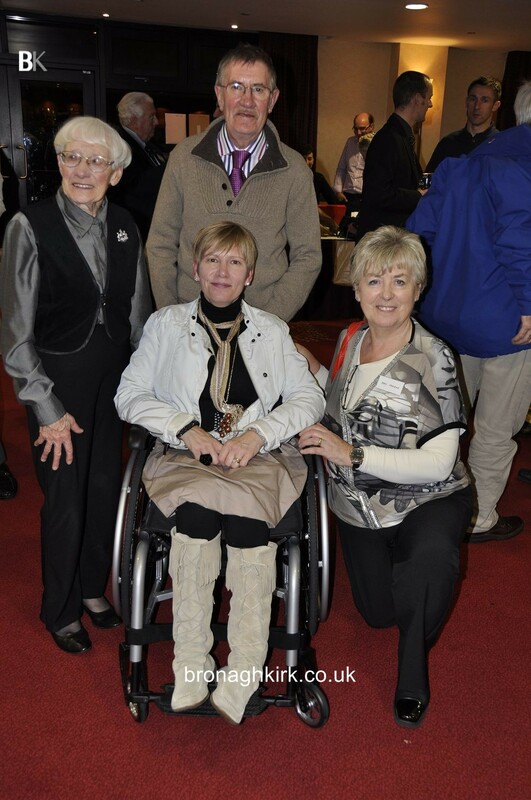 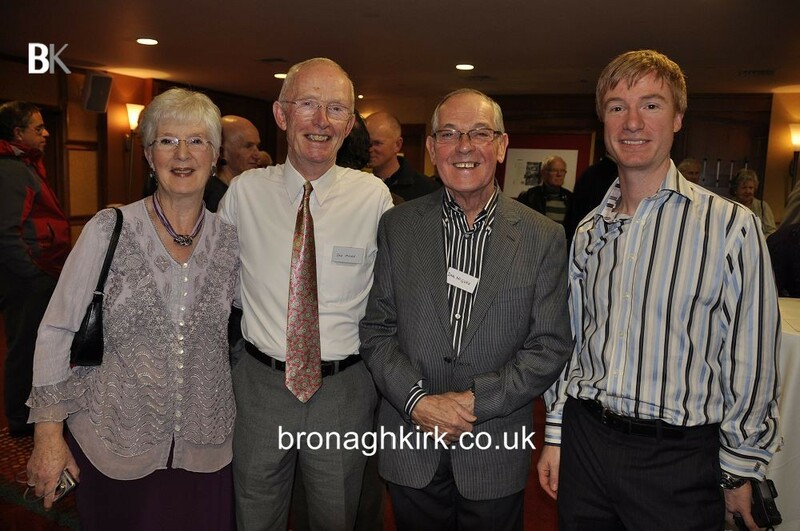 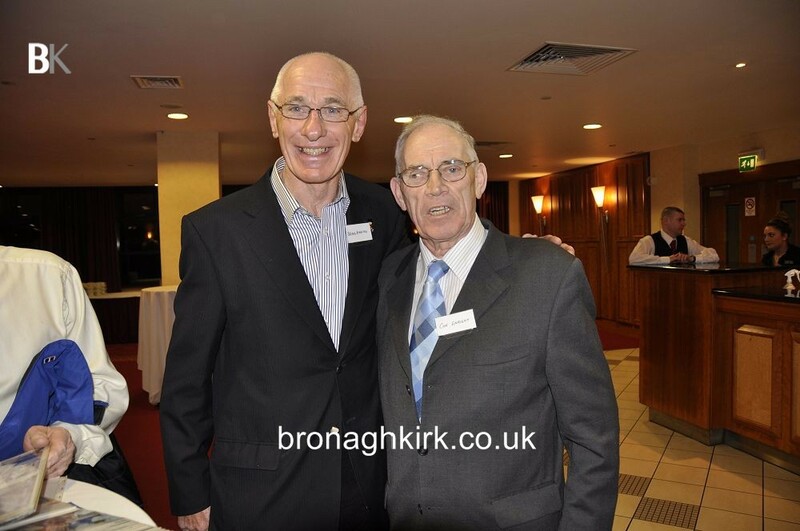 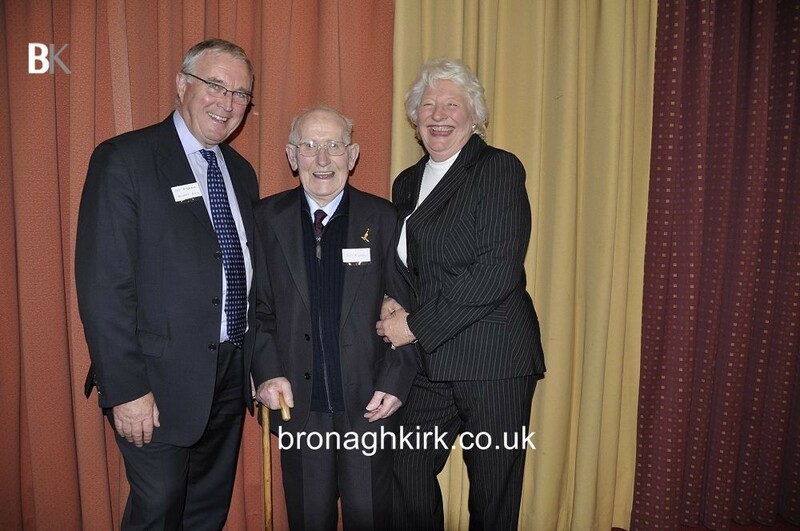 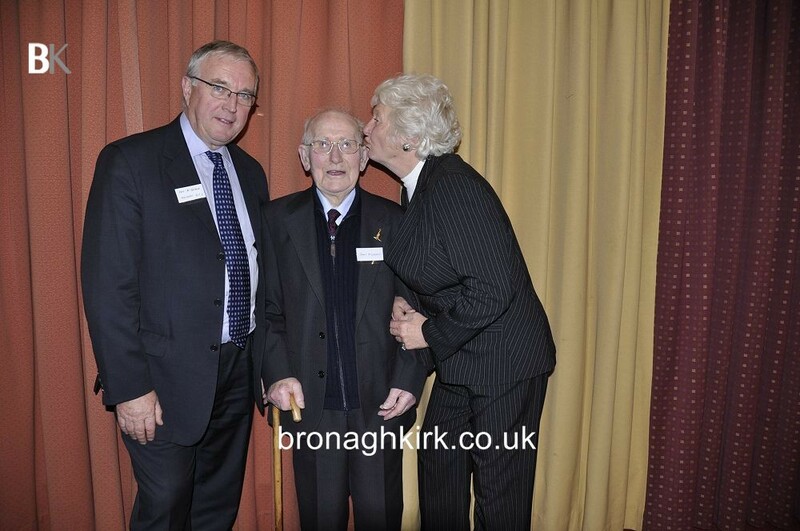 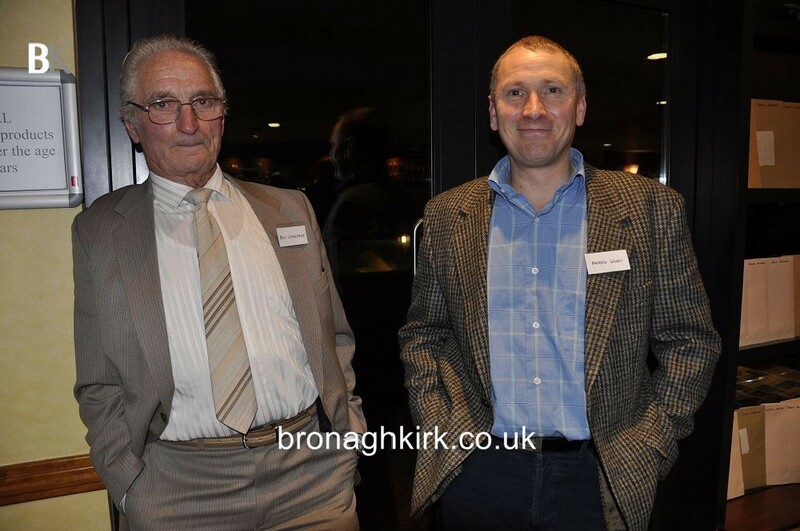 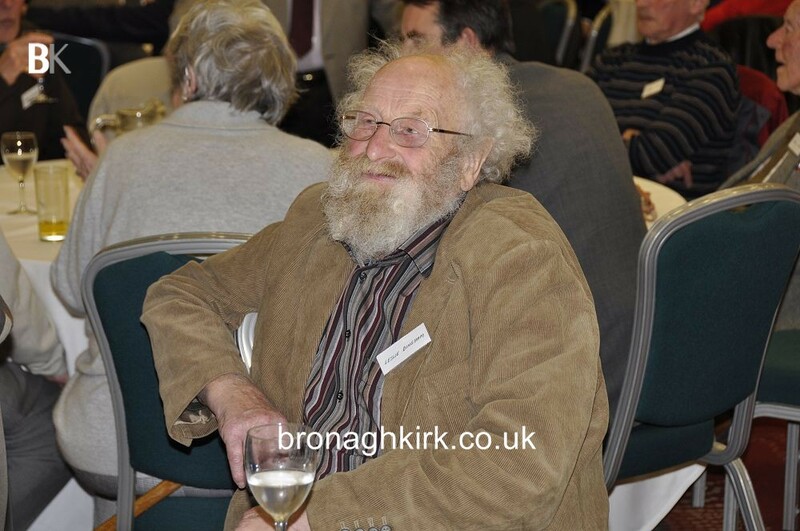 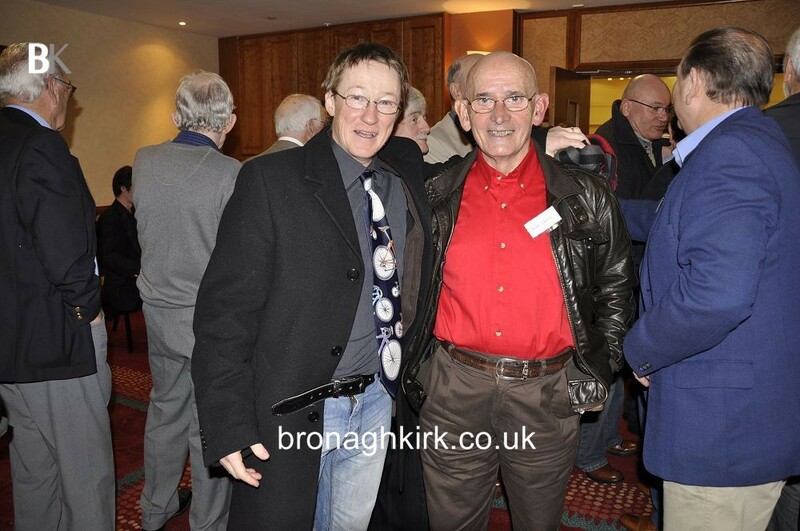 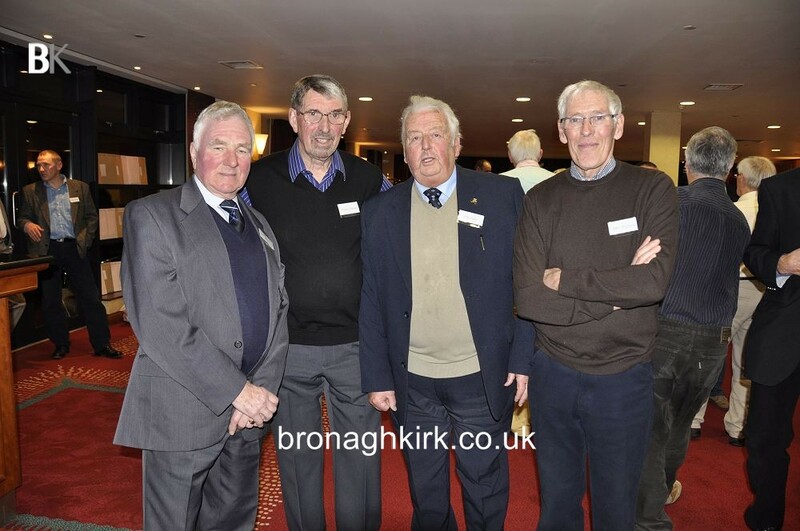 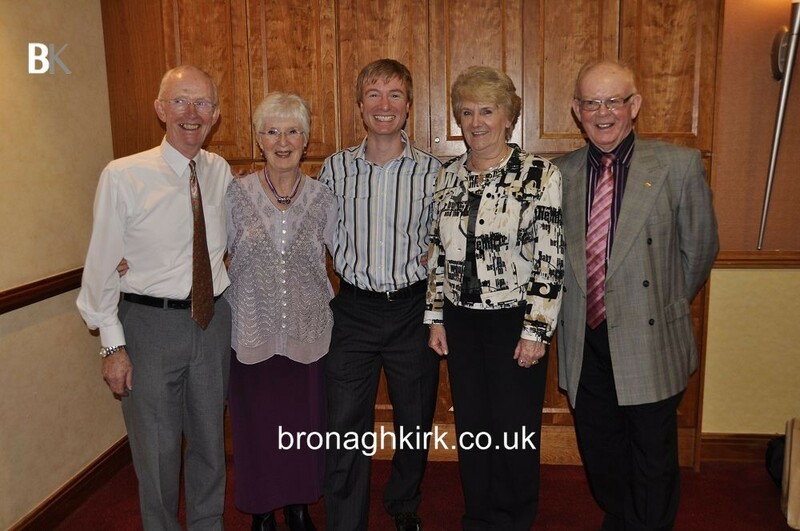 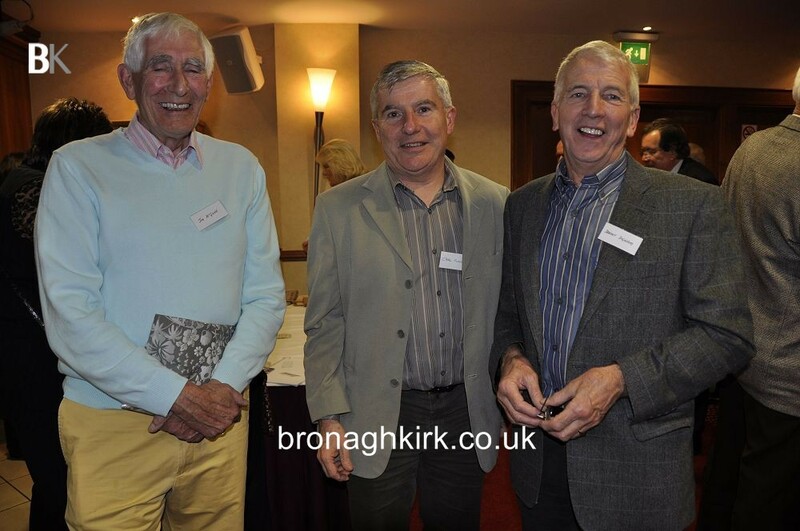 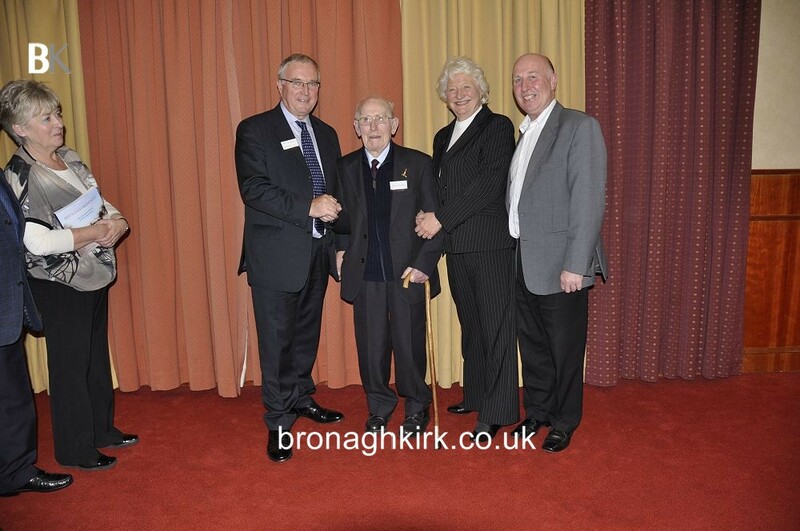 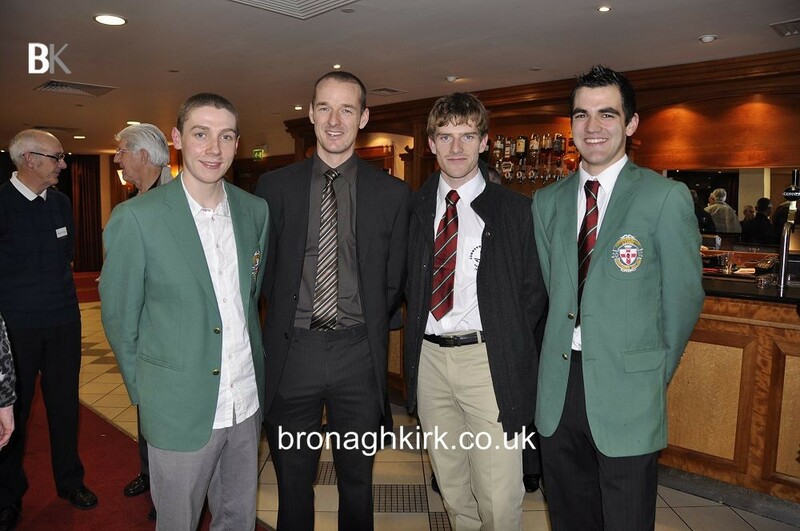 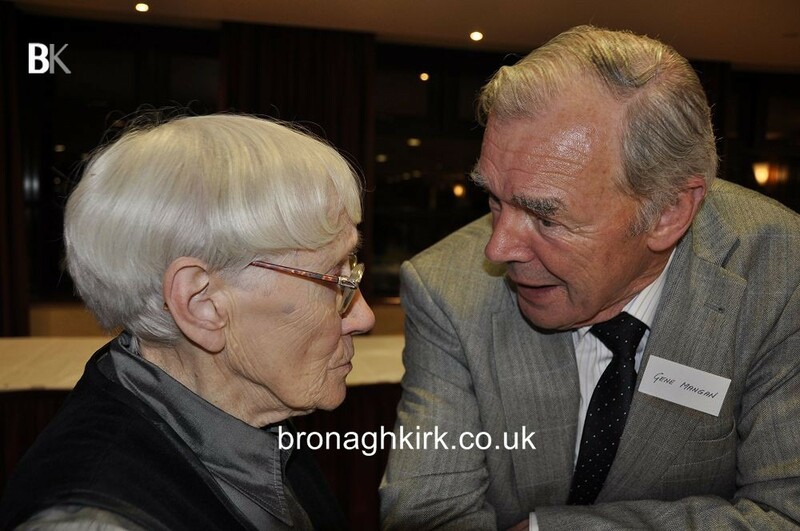 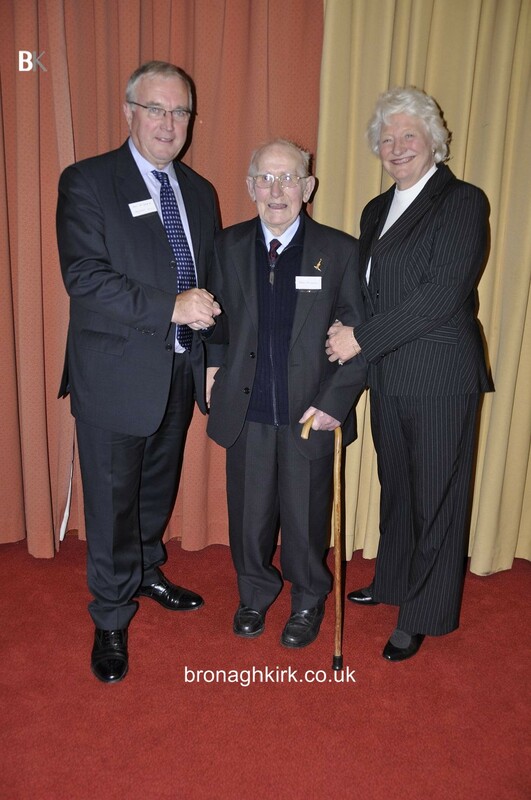 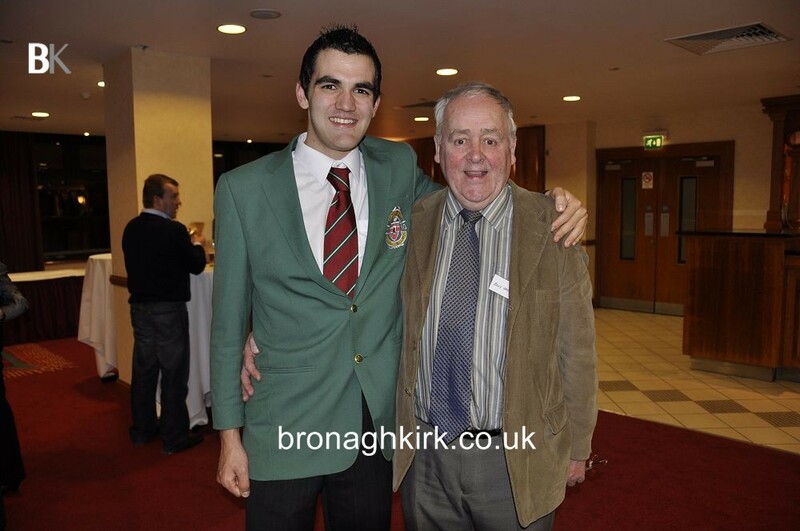 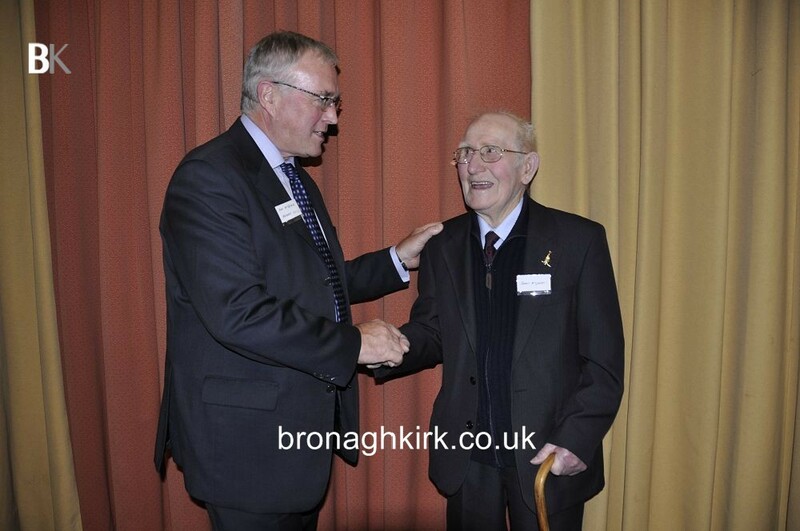 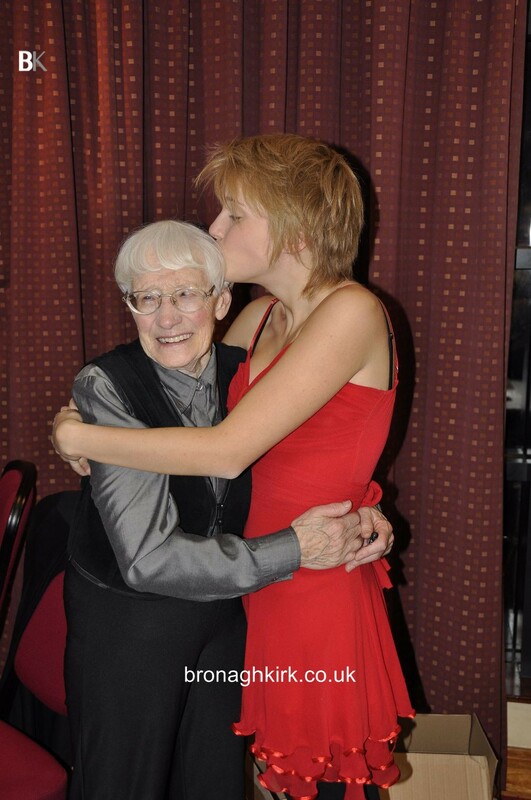 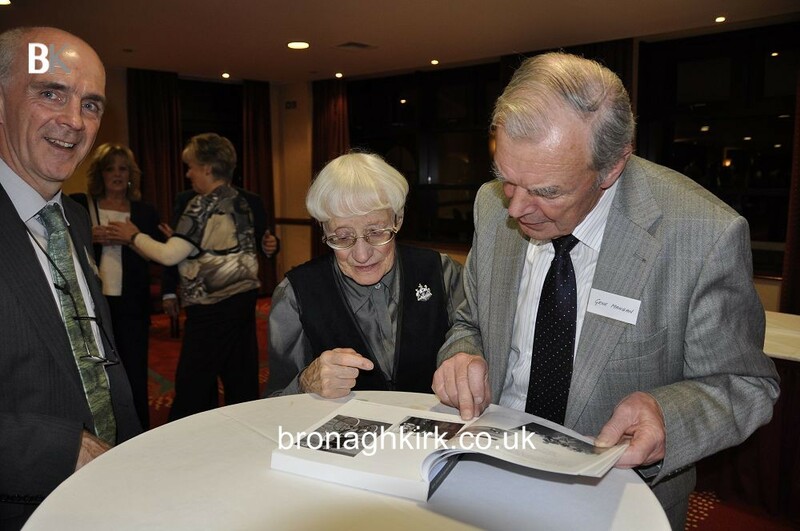 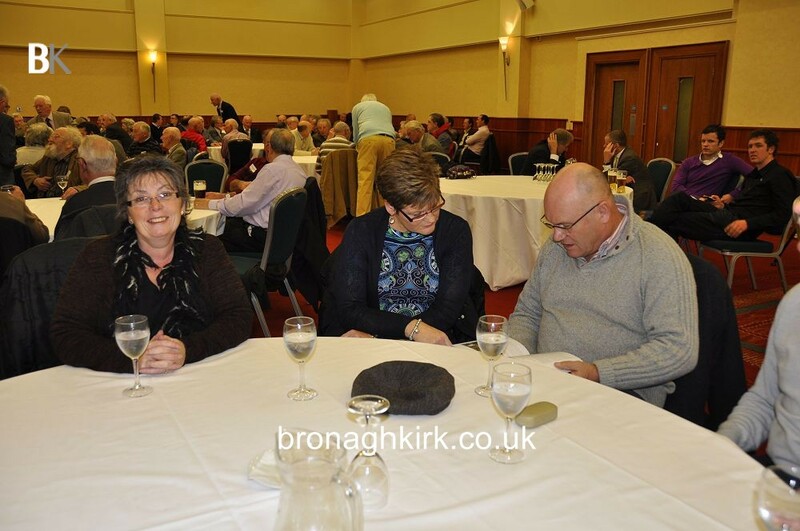 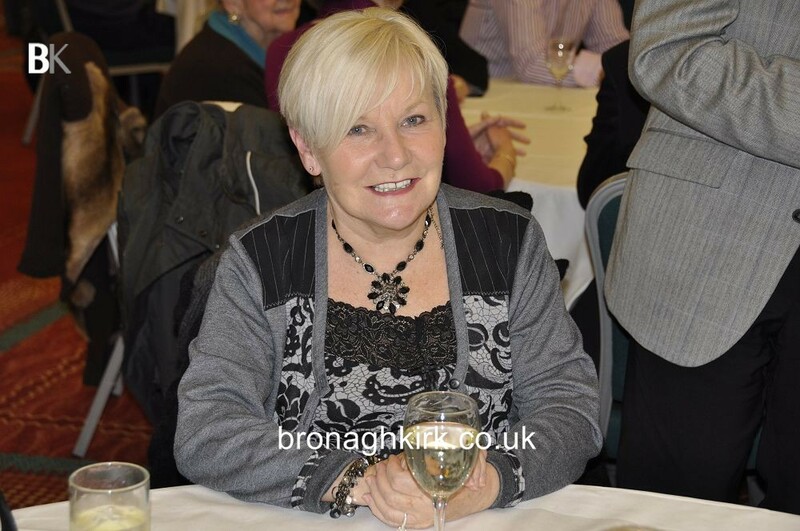 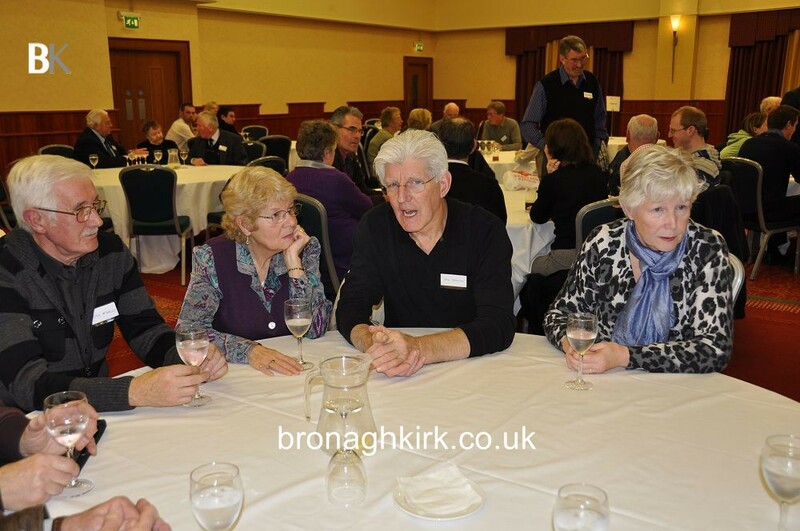 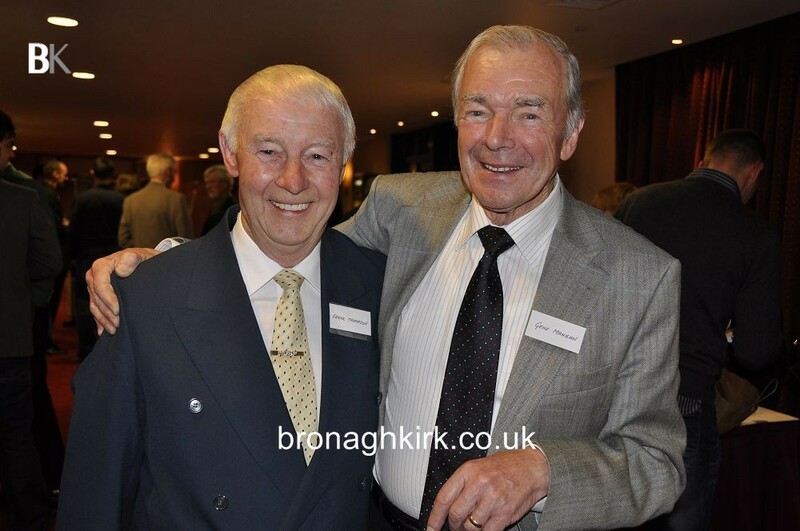 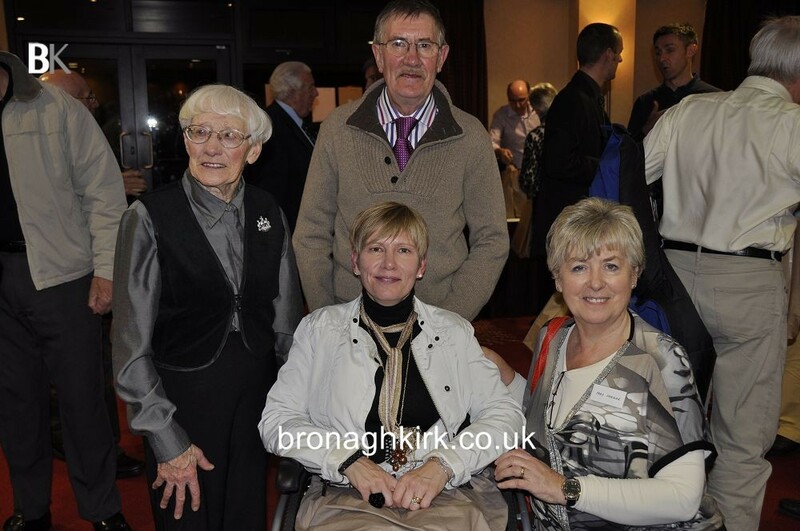 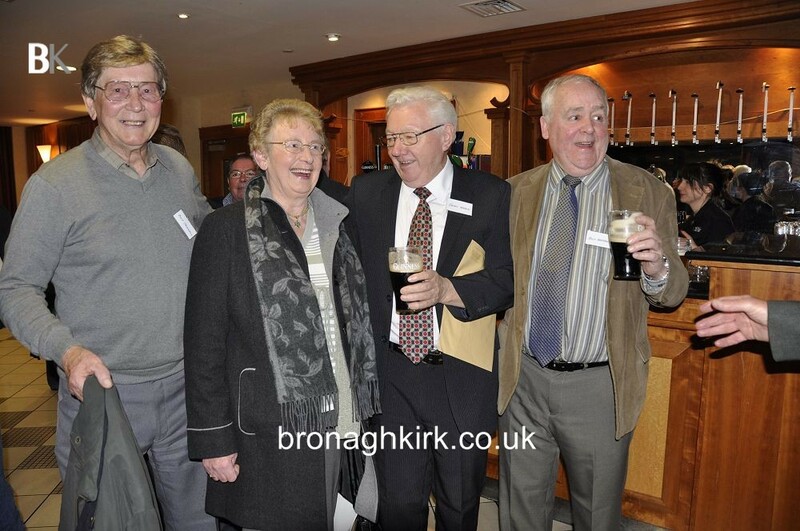 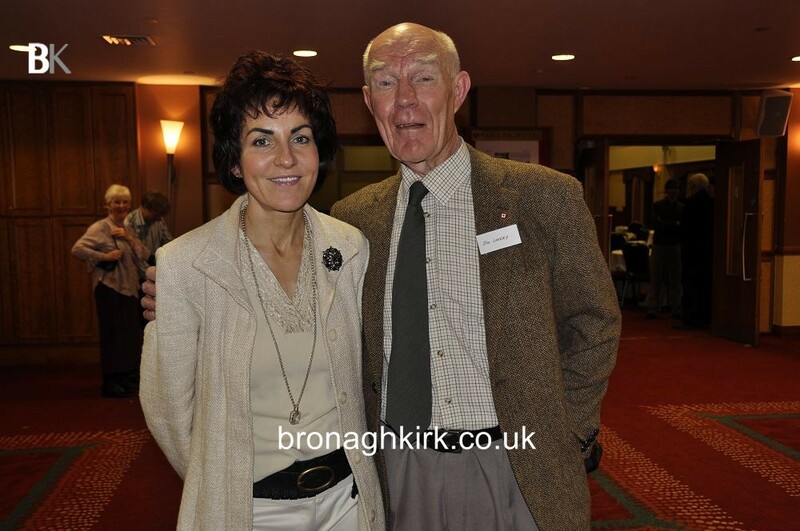 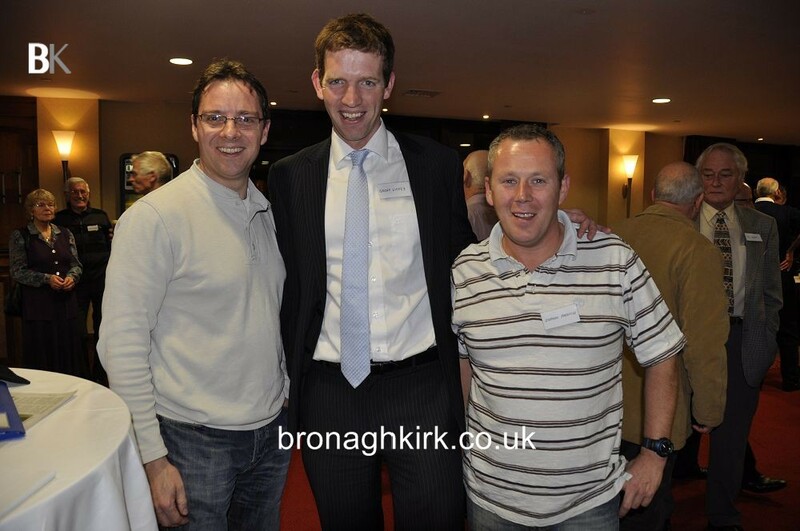 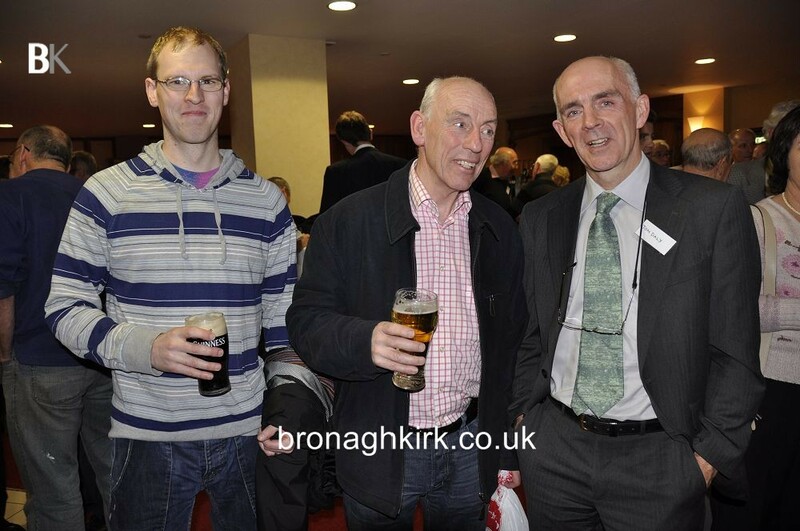 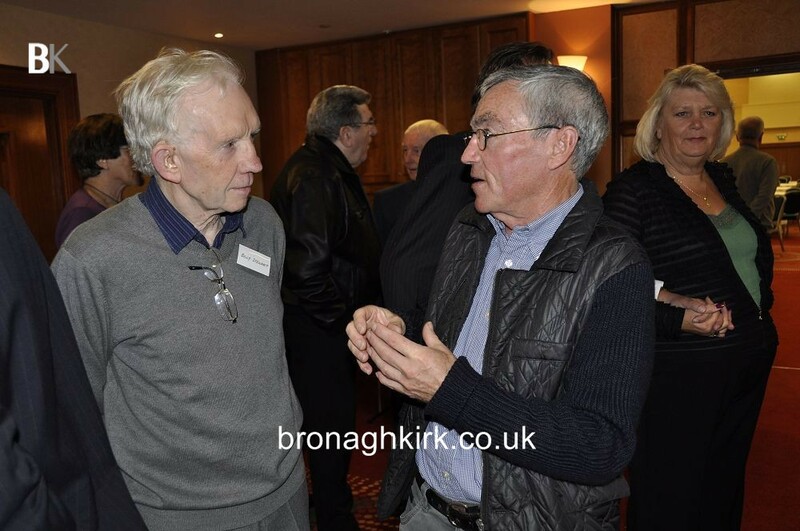 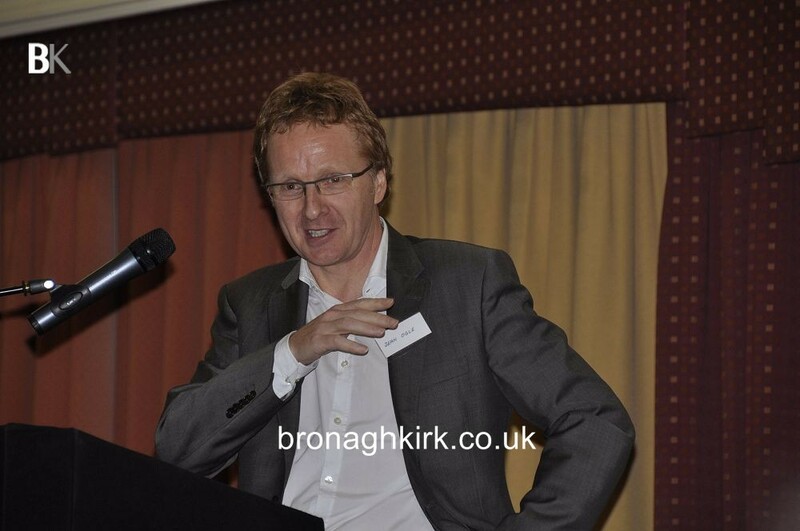 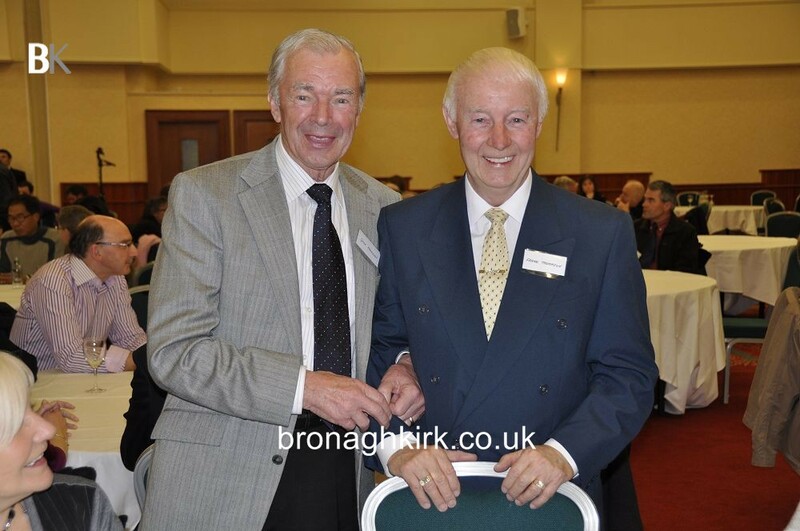 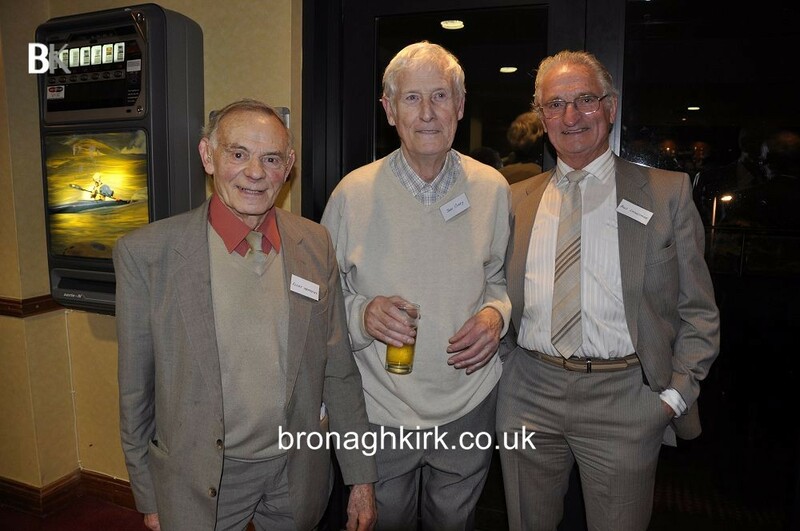 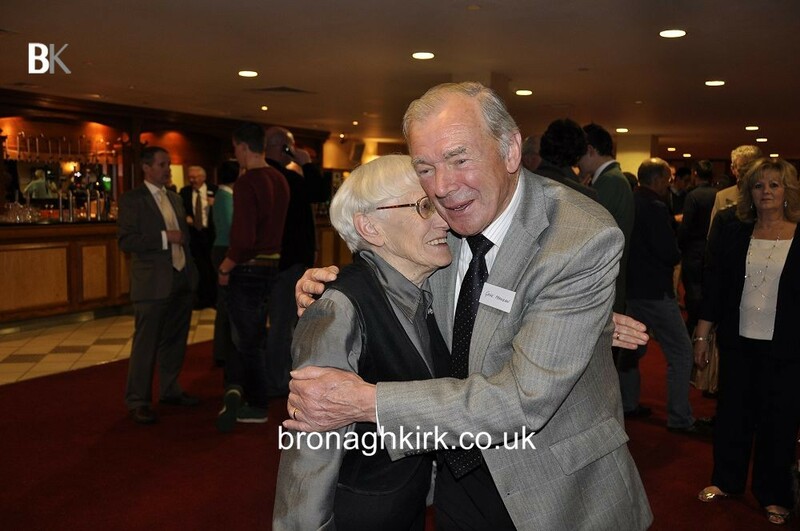 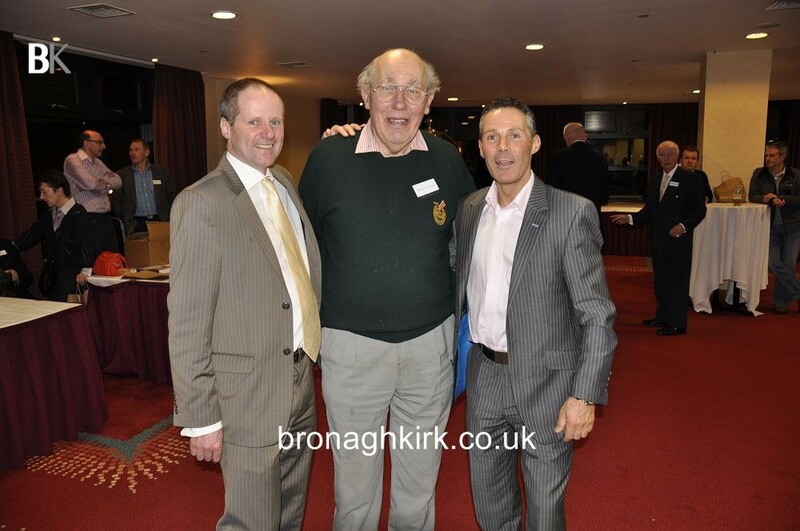 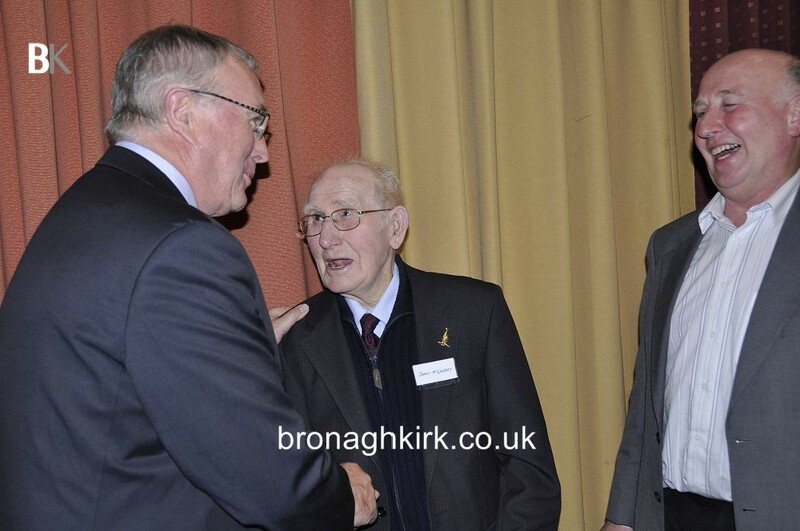 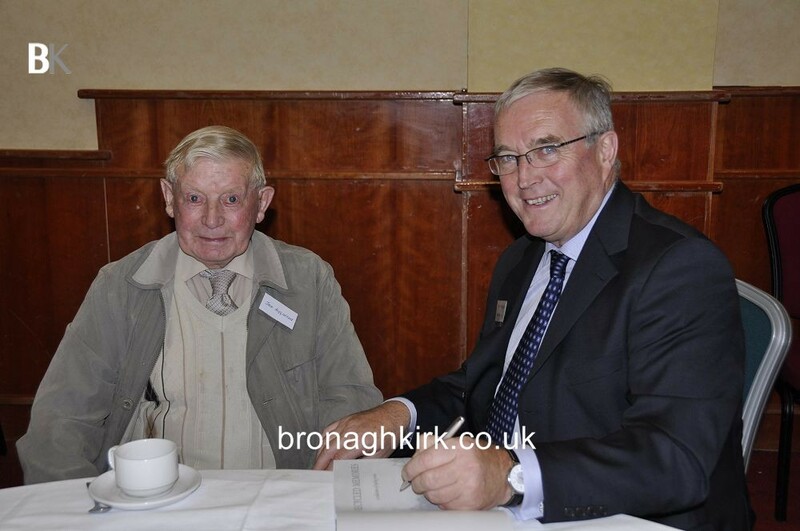 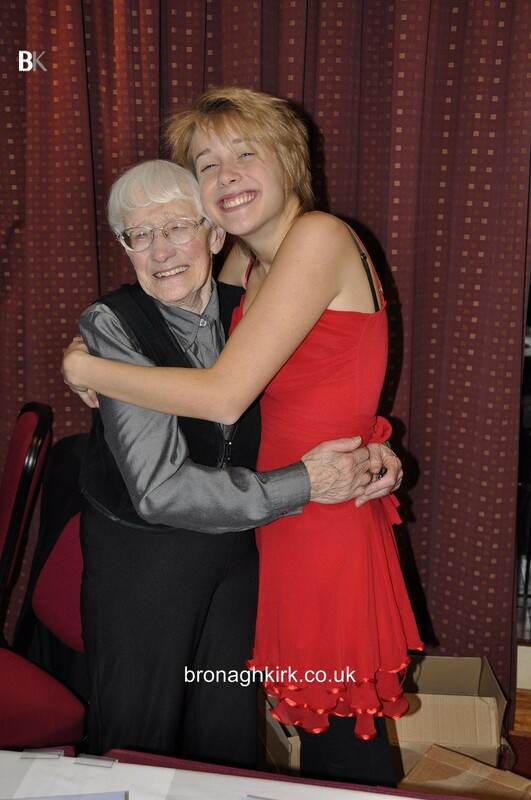 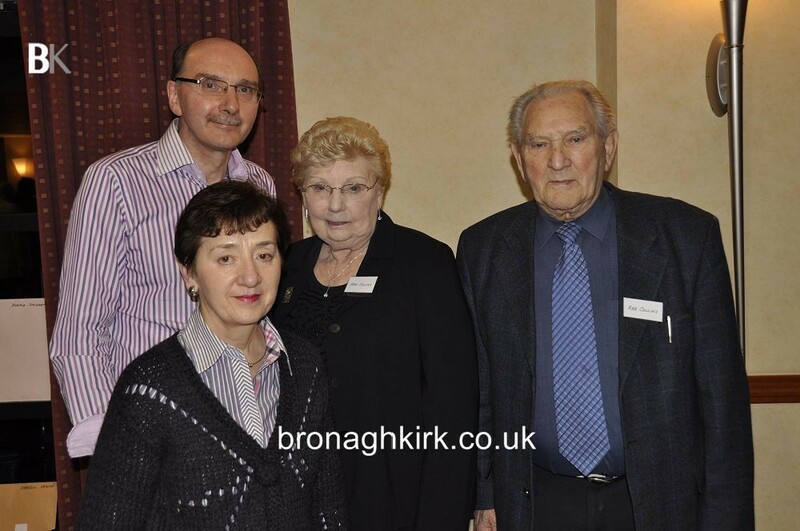 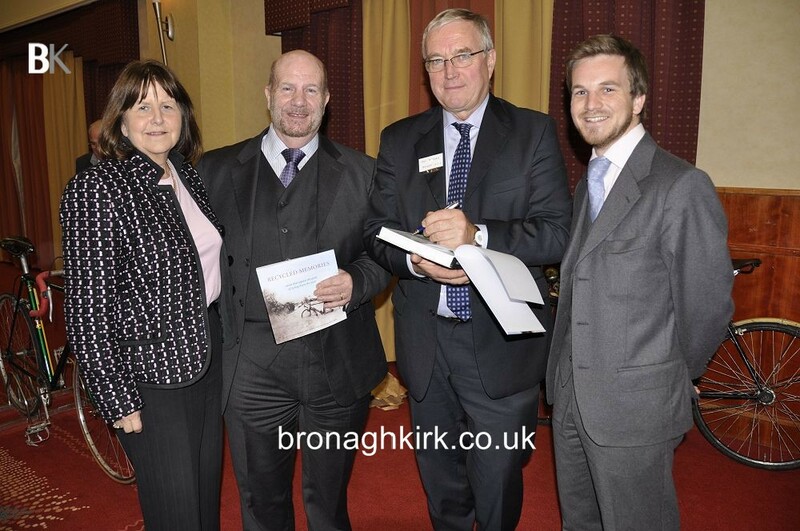 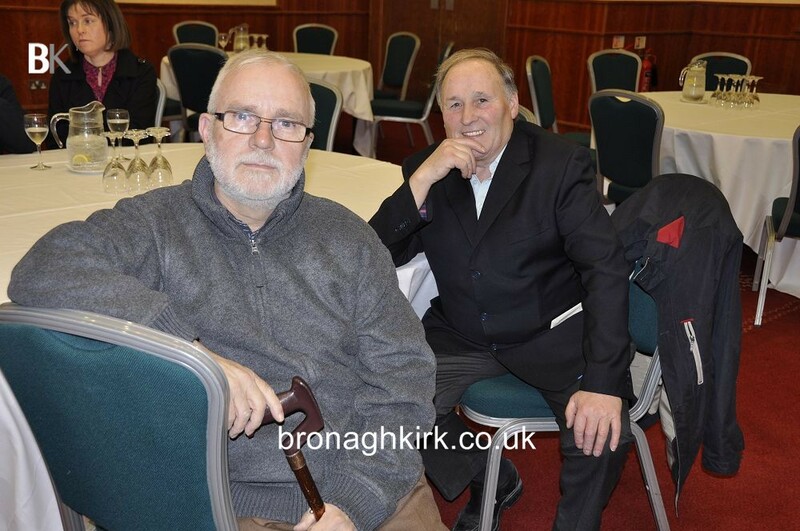 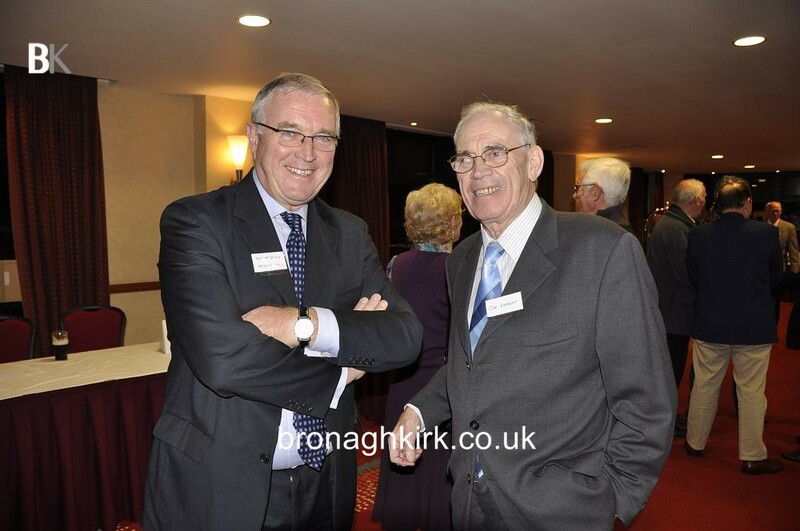 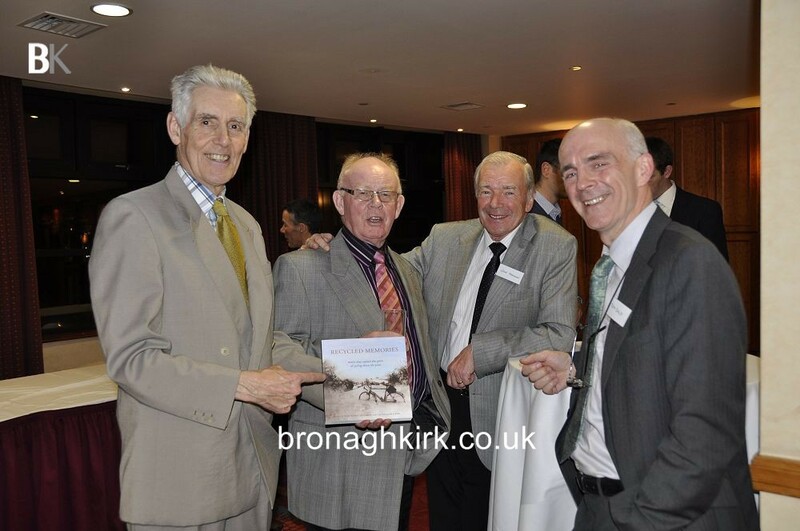 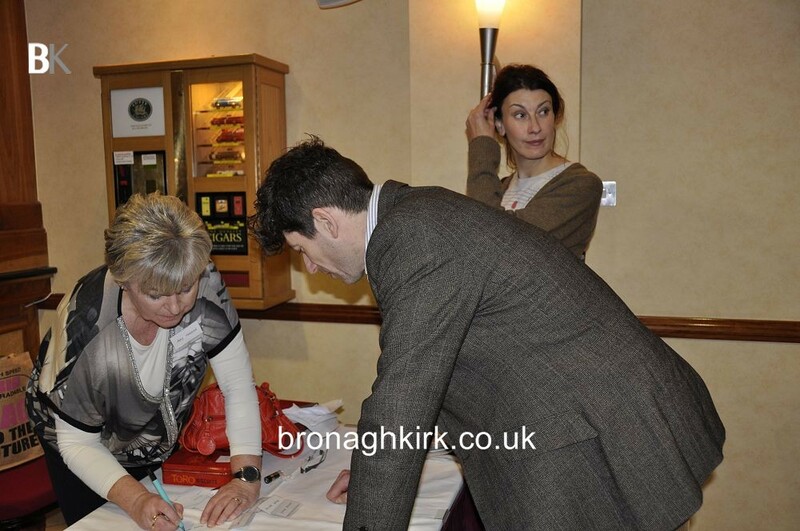 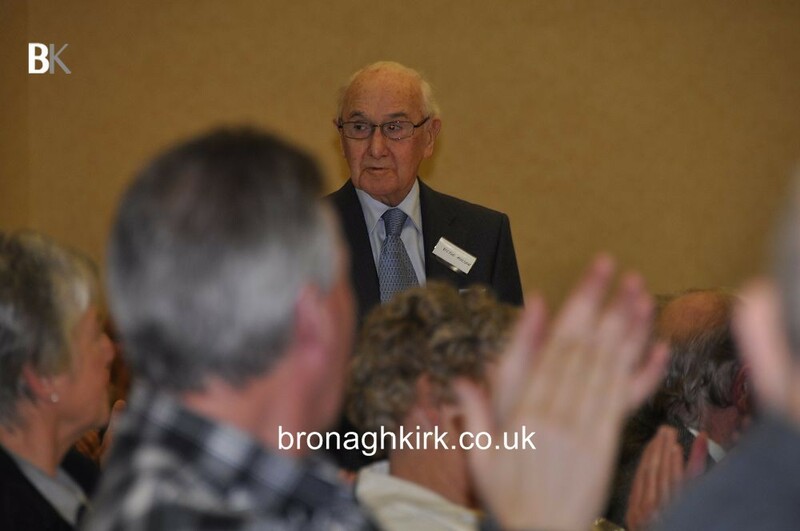 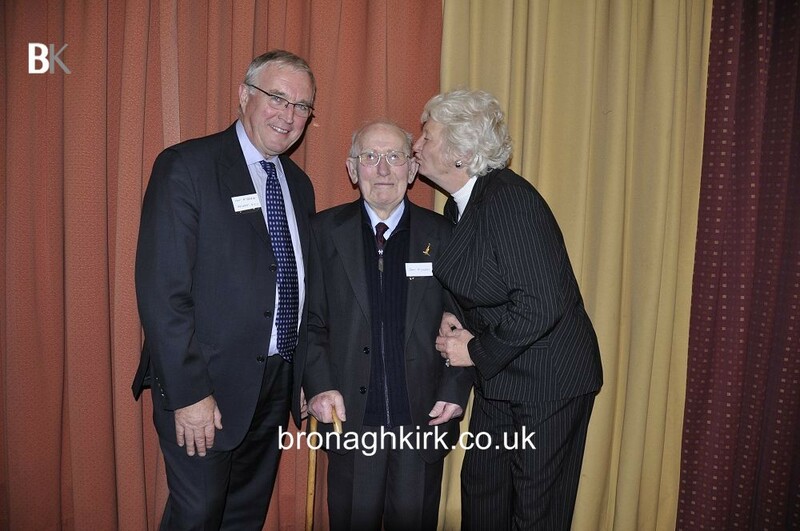 Pat was one of the many distinguished guest speakers that night in the Ramada Hotel (November 2010). 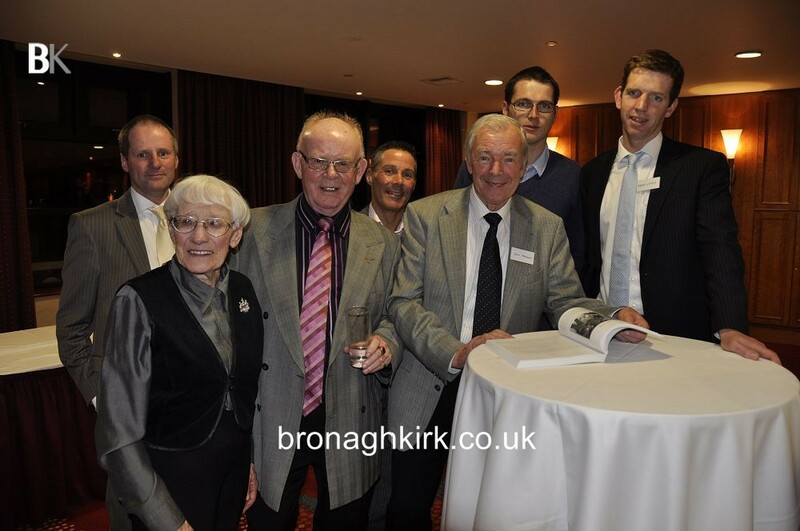 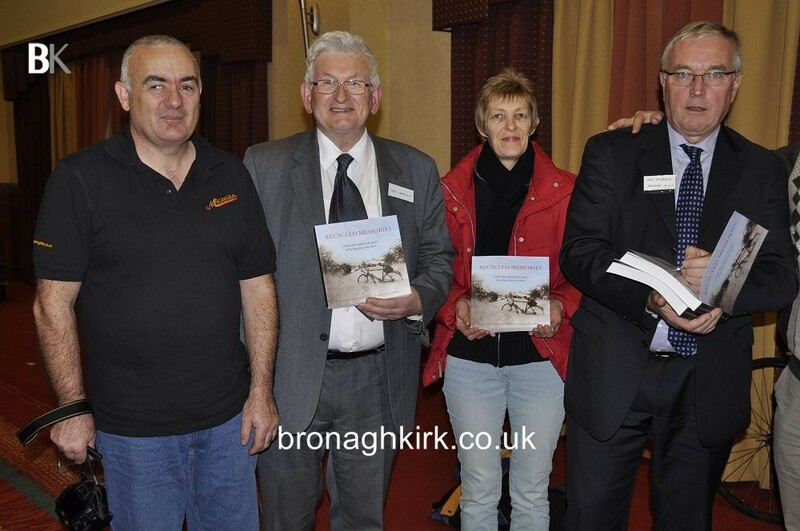 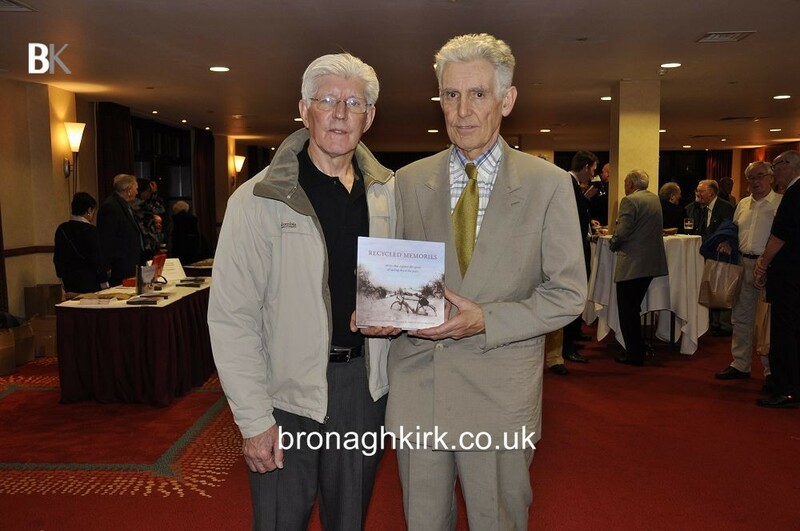 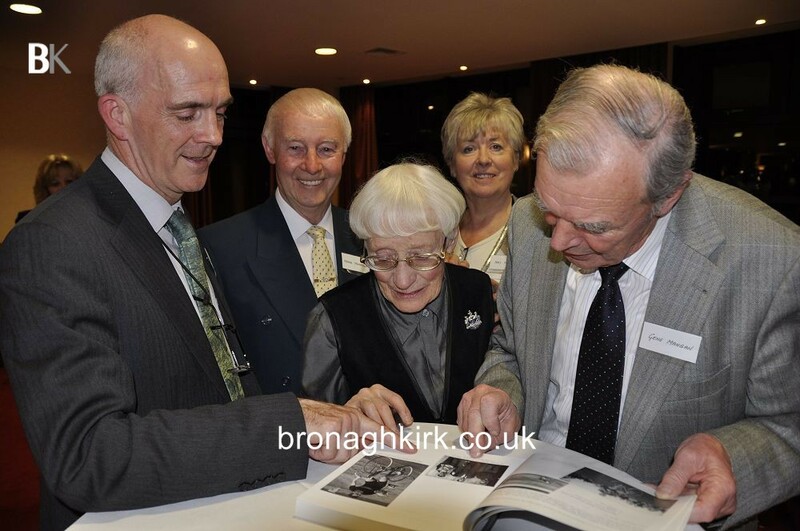 The book was compiled by Isobel Woods, Billy Kirk, May Farrar and Rab Collins and featured stories and images of the Irish cycling fraternity from the 1930s until 2009. 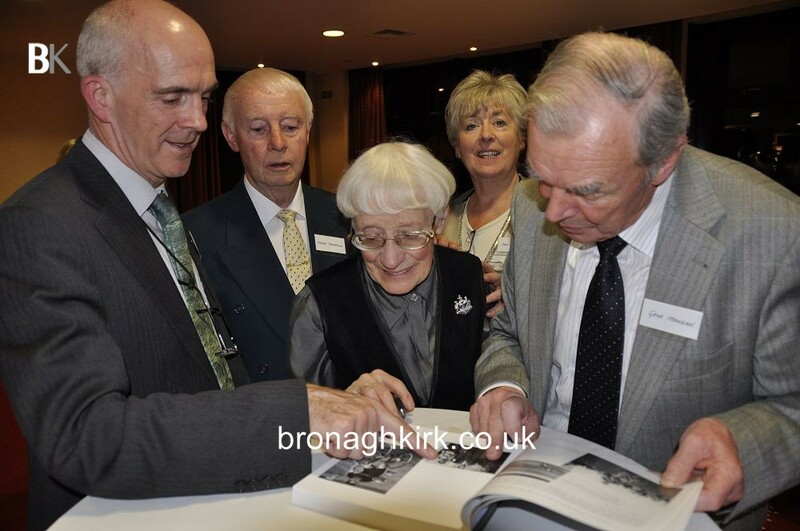 Have a look at the photos of the many people who attended the launch, including Dame Mary Peters, Edwin Poots, the current minister of health for Northern Ireland, Morris Foster MBE Dermot Dignam (Ras organiser for over 30 years, Gene Mangan winner of the Ras Taltaien (1950s), Tom Daly, author of 50 years of the Roas Book, the commonwealth games bronze medallists of 2010. 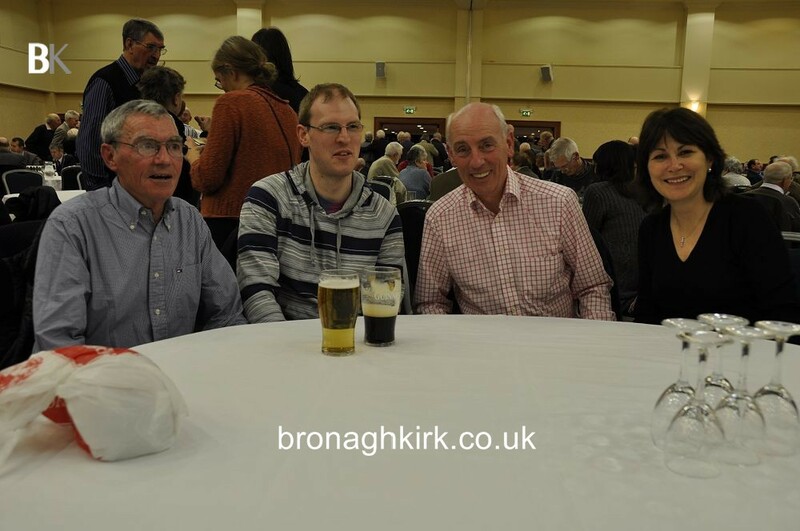 Jack Watson, Marian and Tommy Lamb, the kane family, frankie Thompson (came over from South Africia), Jack Johnston from Colorado. 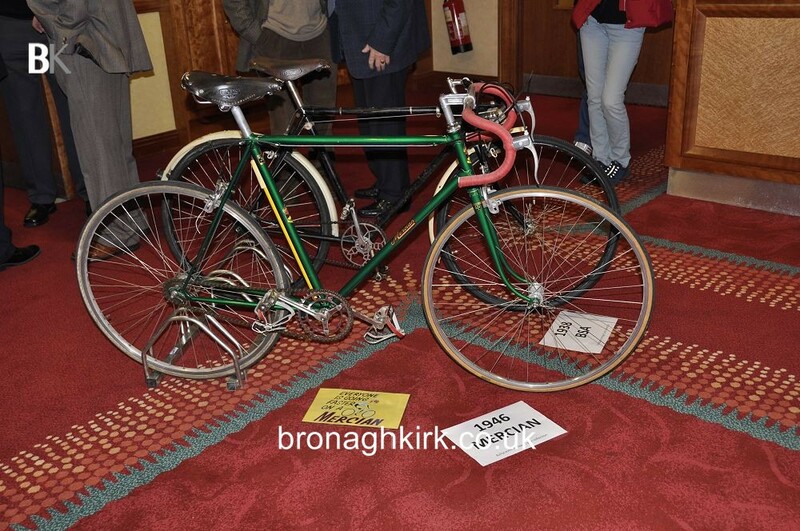 Many of the names you may not recognise but a google search will find you in the midst of Irish Cycling History. 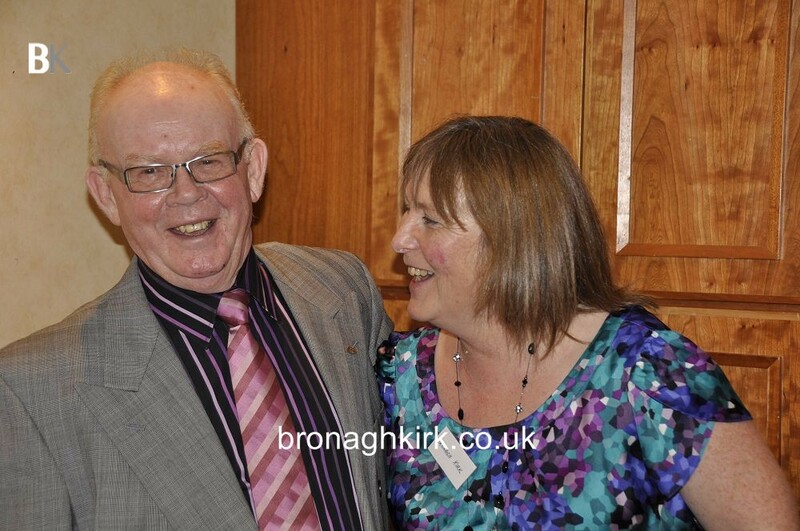 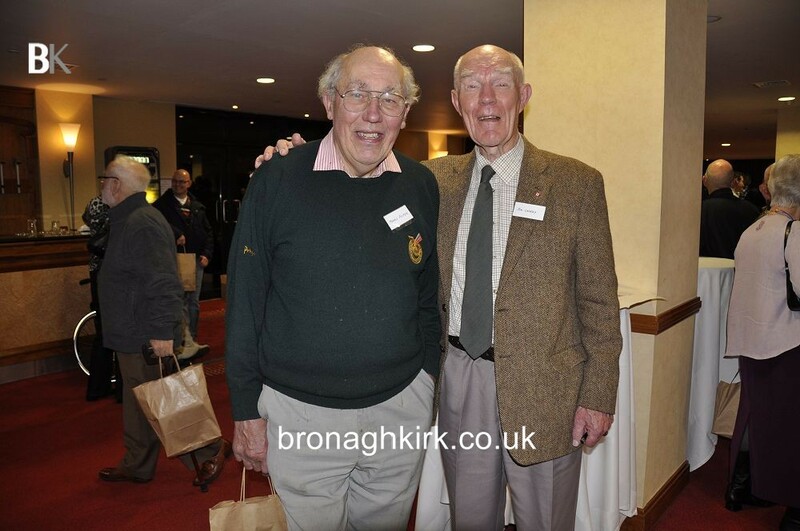 Sadly James McGreevy and Leslie Bingham have passed away since that night.